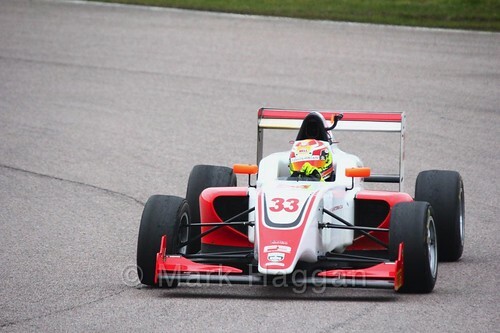 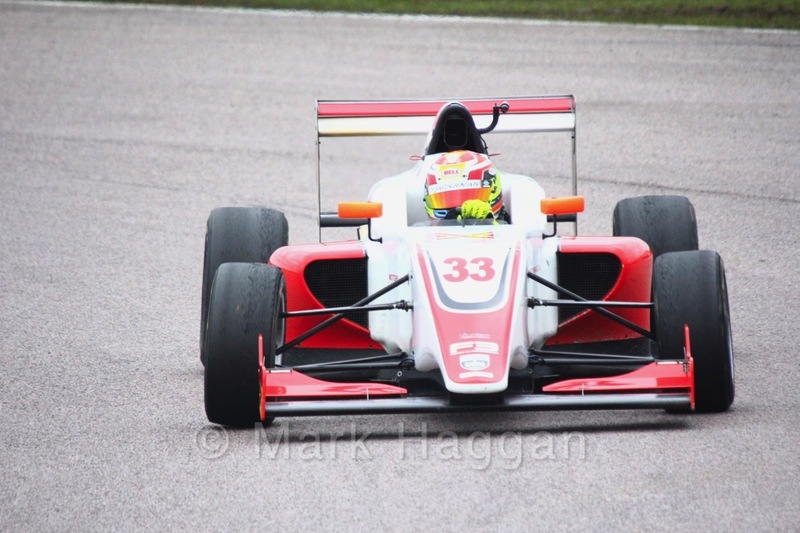 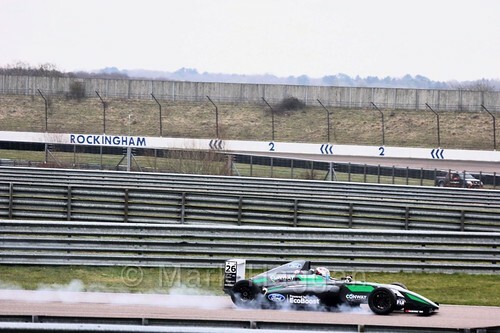 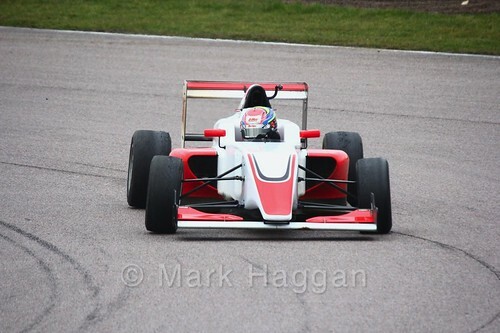 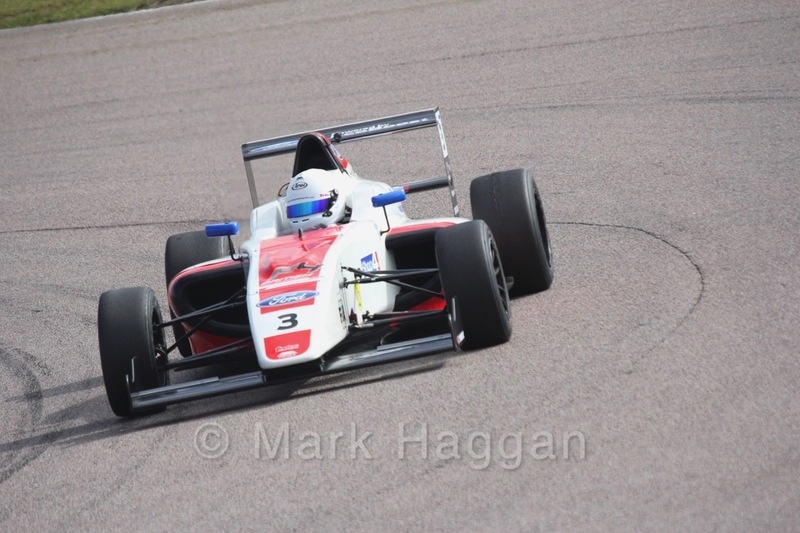 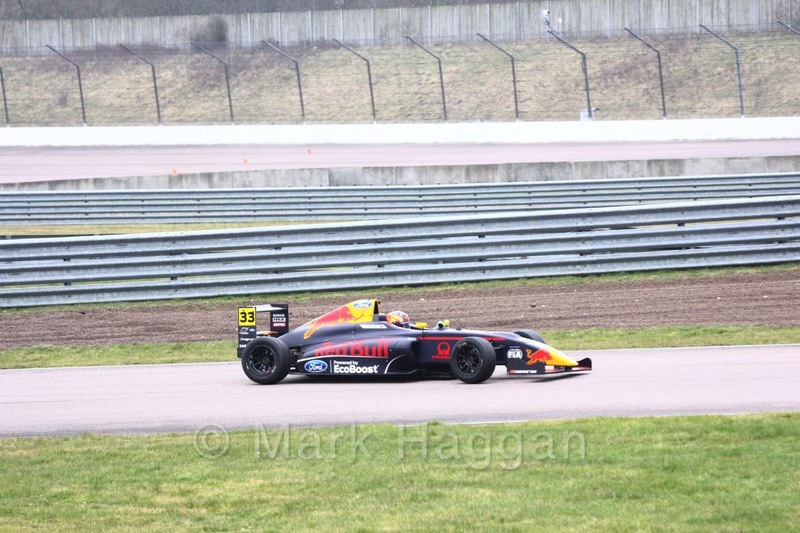 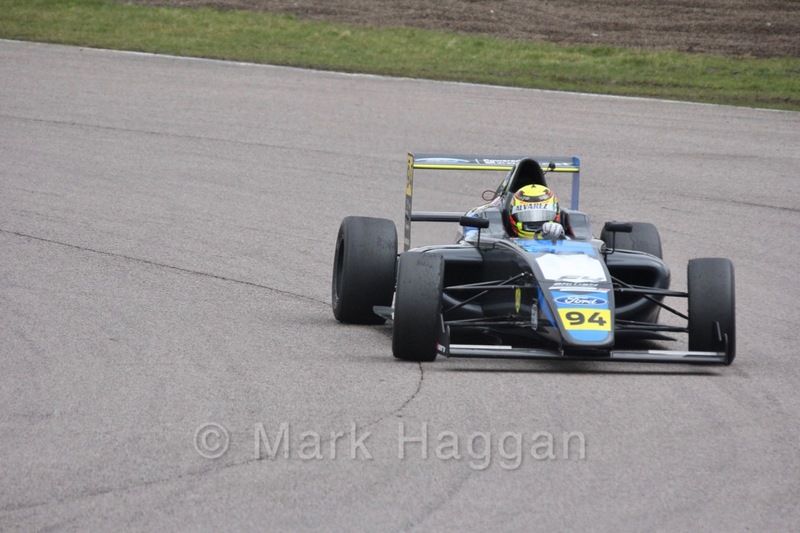 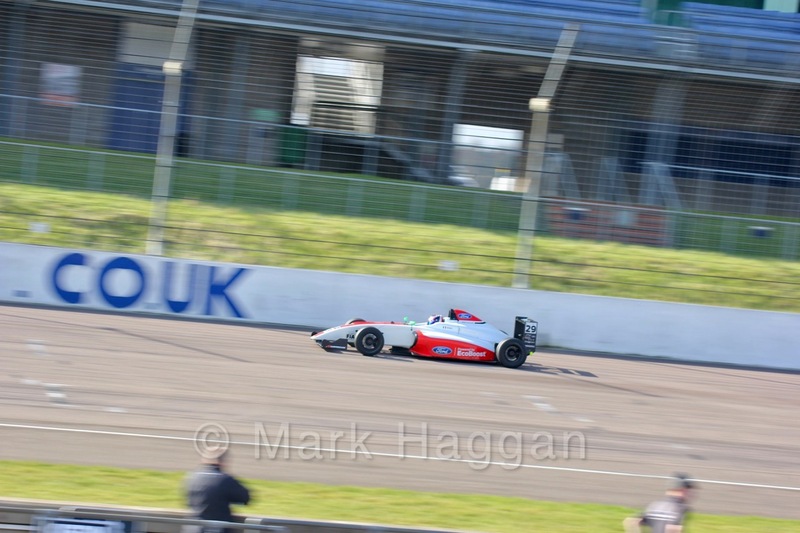 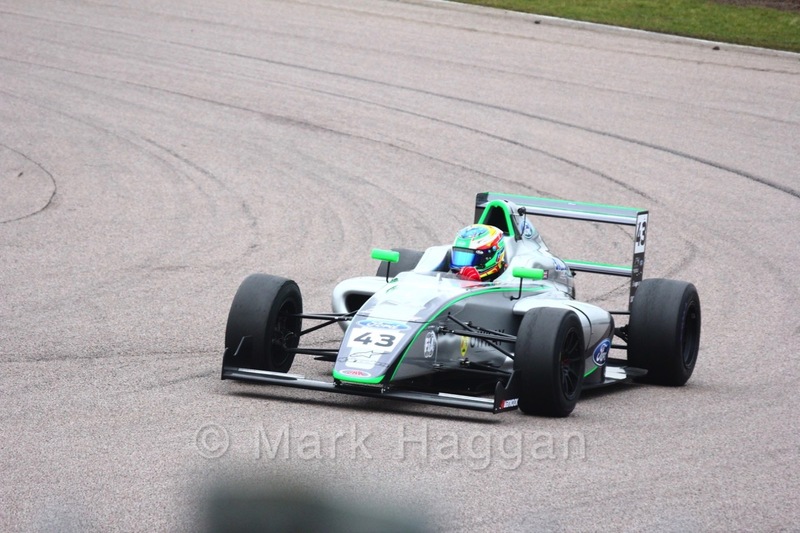 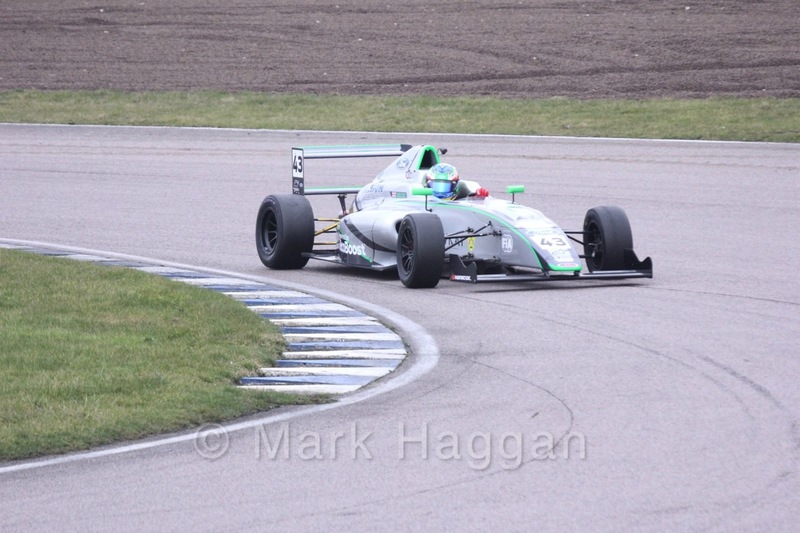 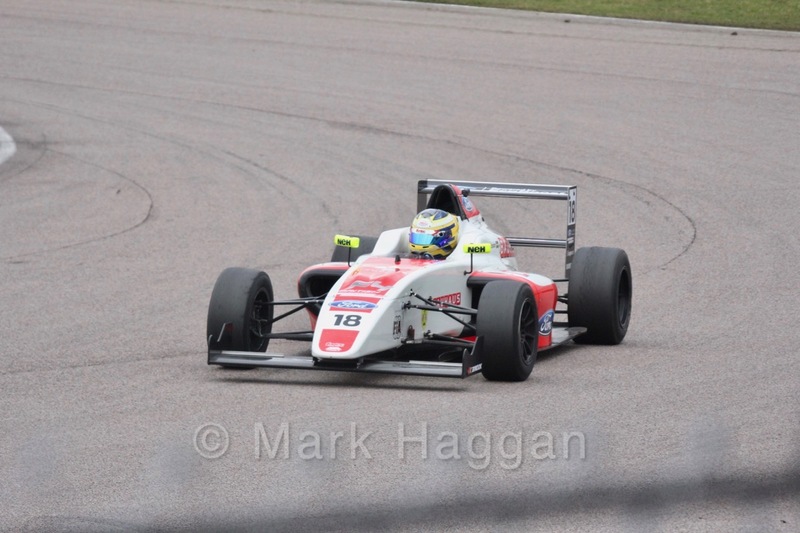 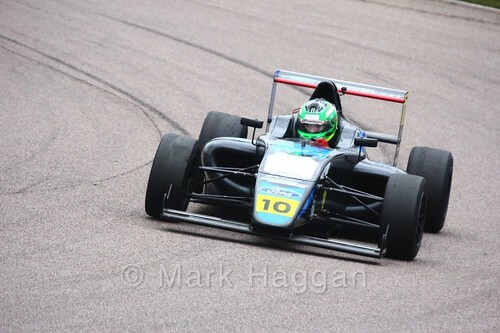 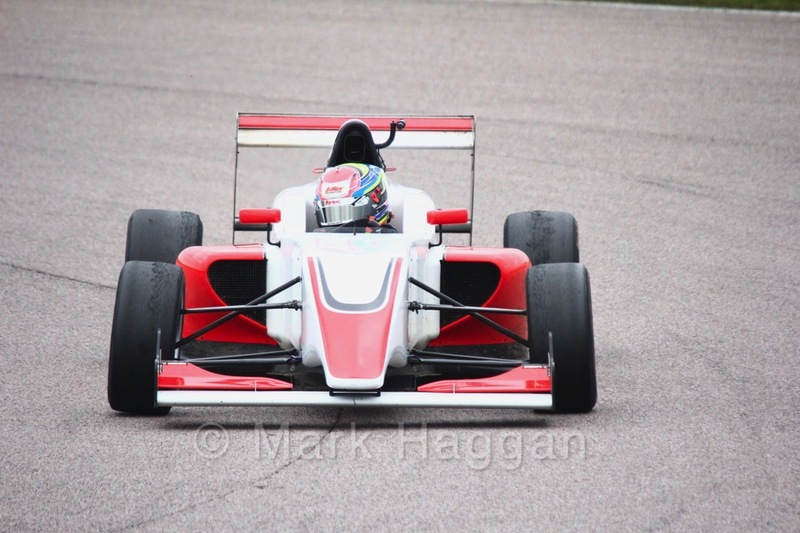 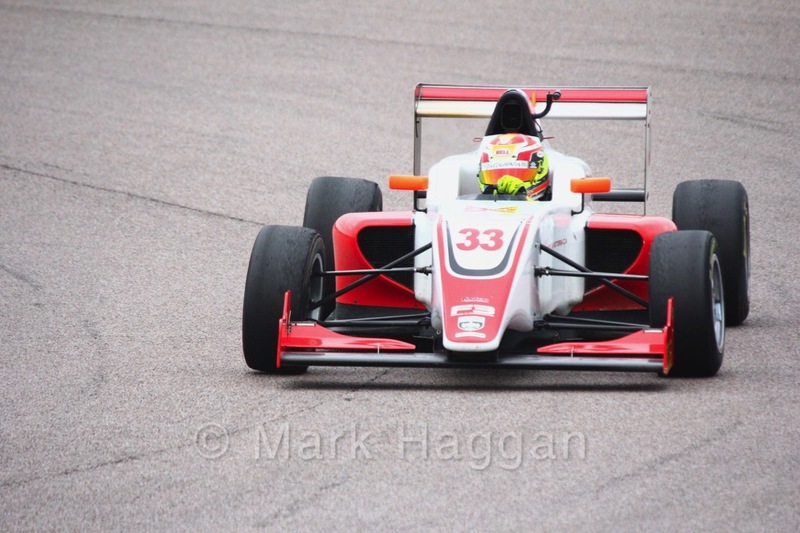 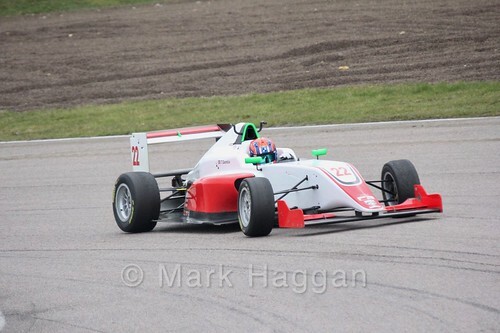 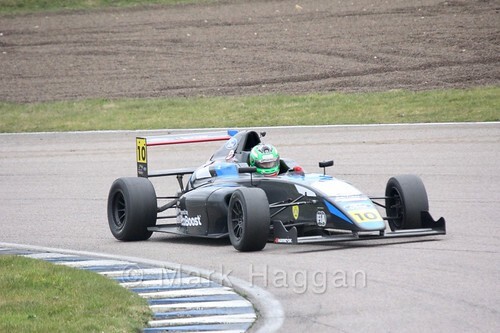 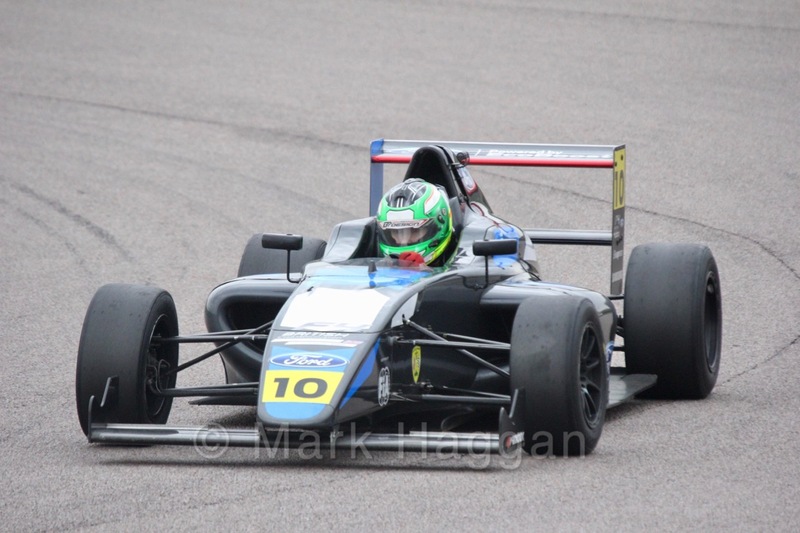 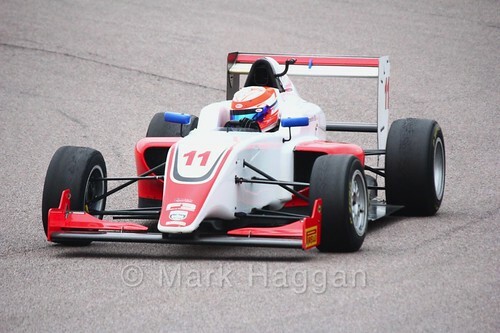 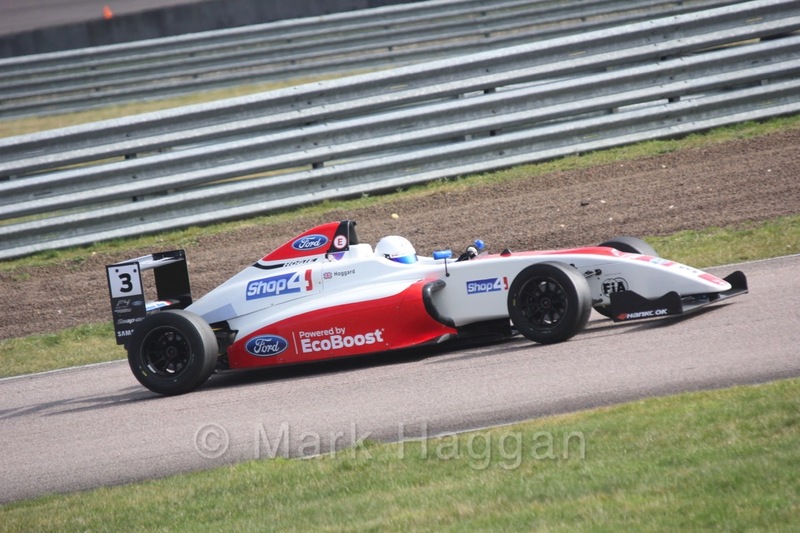 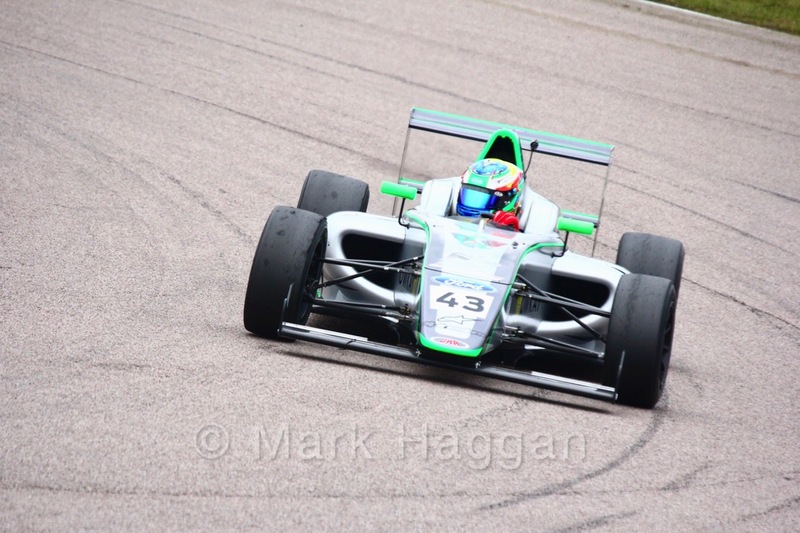 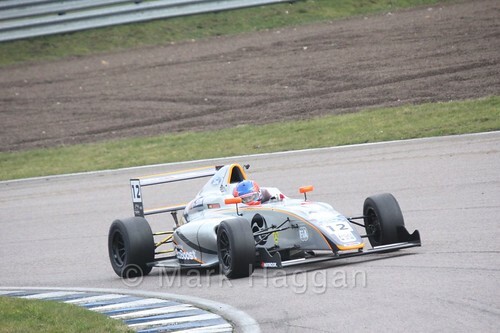 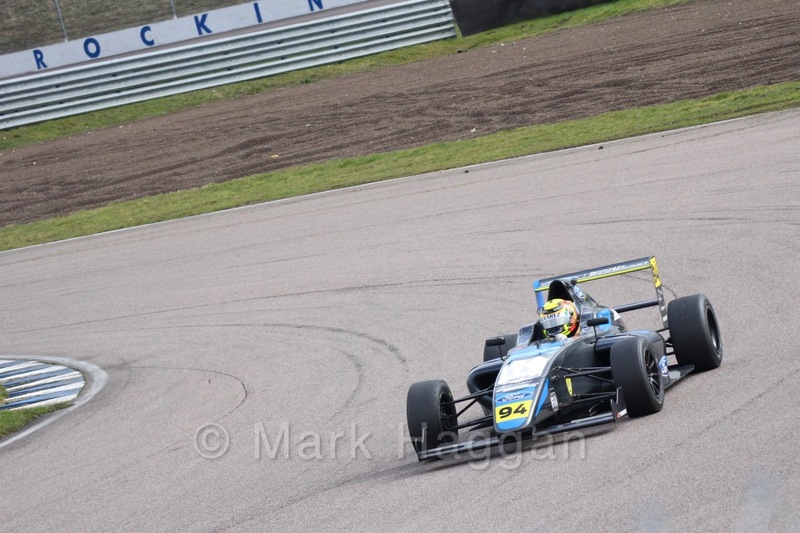 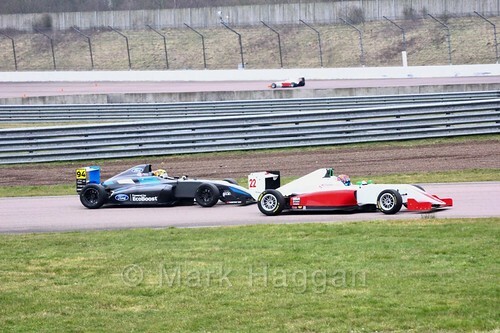 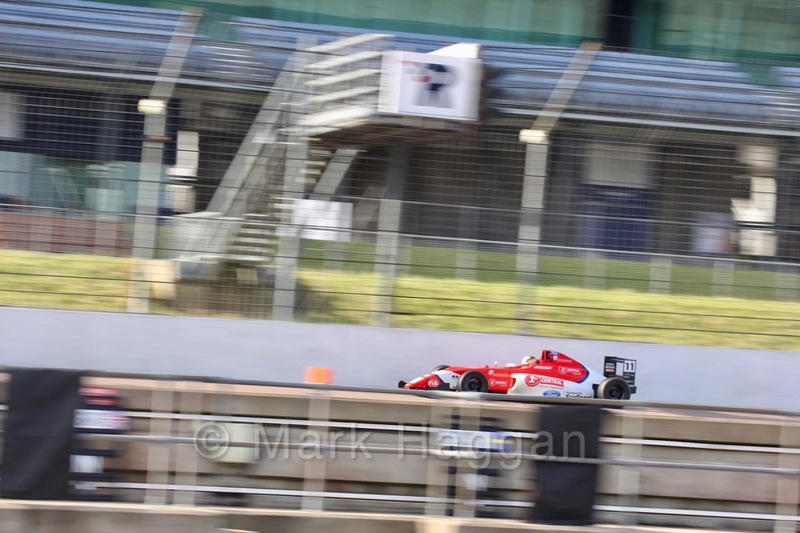 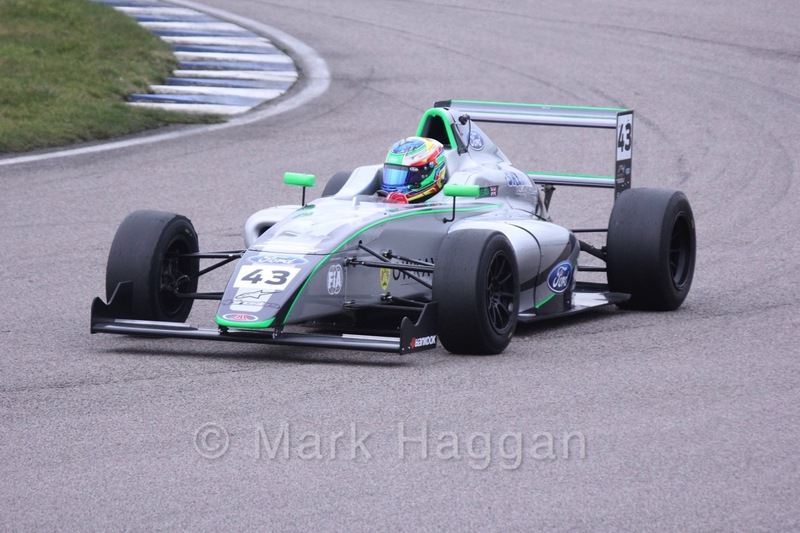 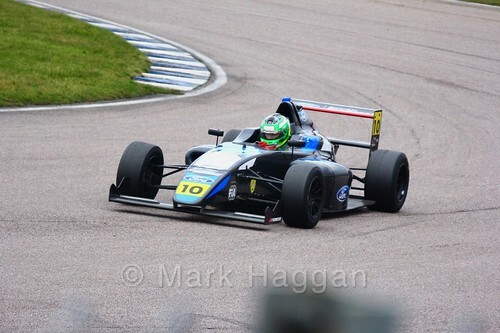 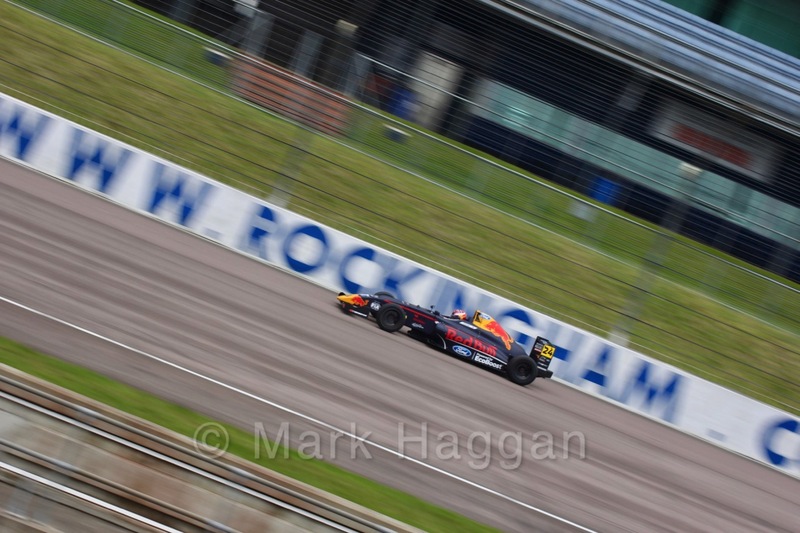 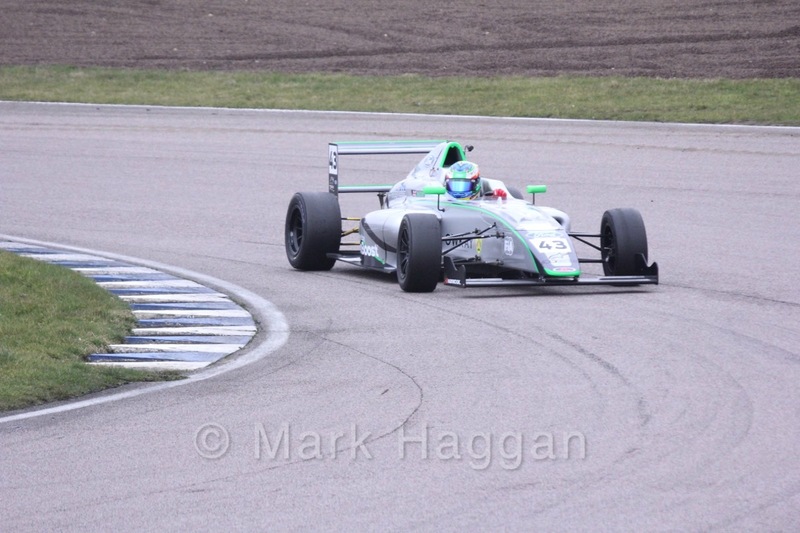 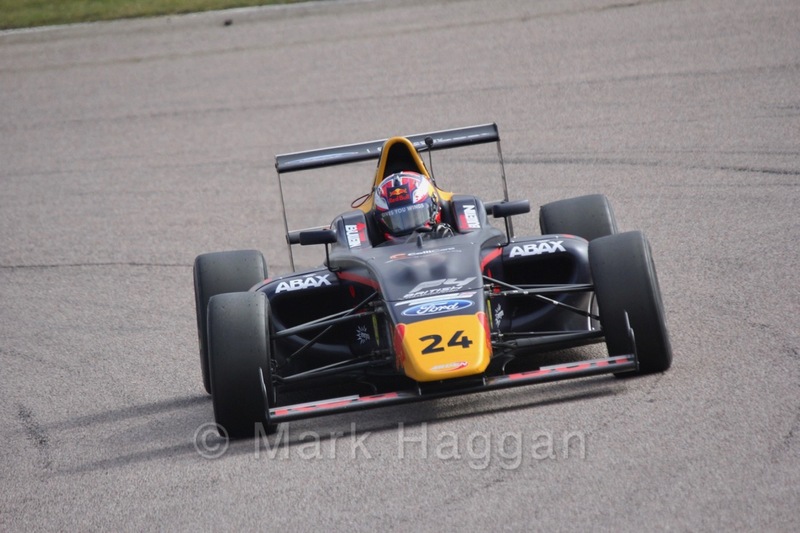 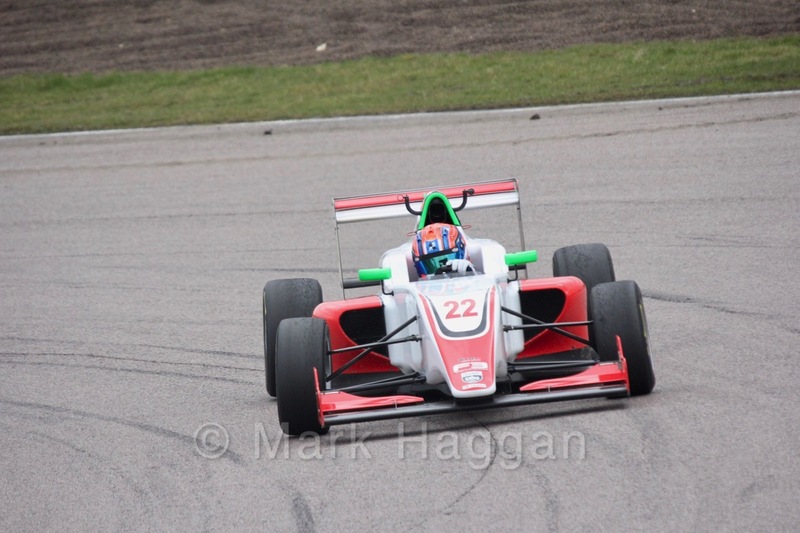 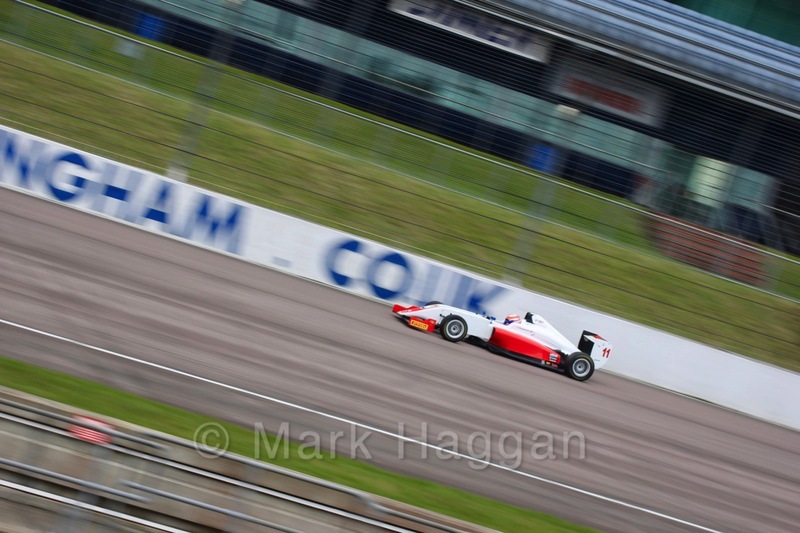 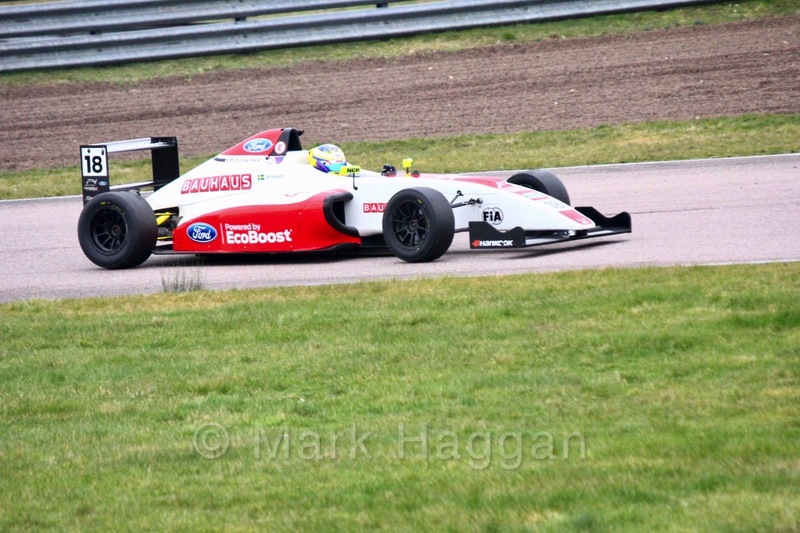 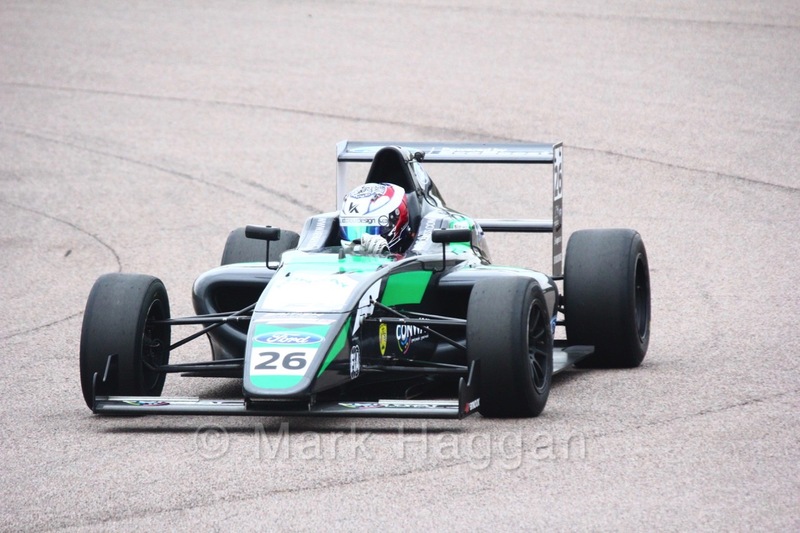 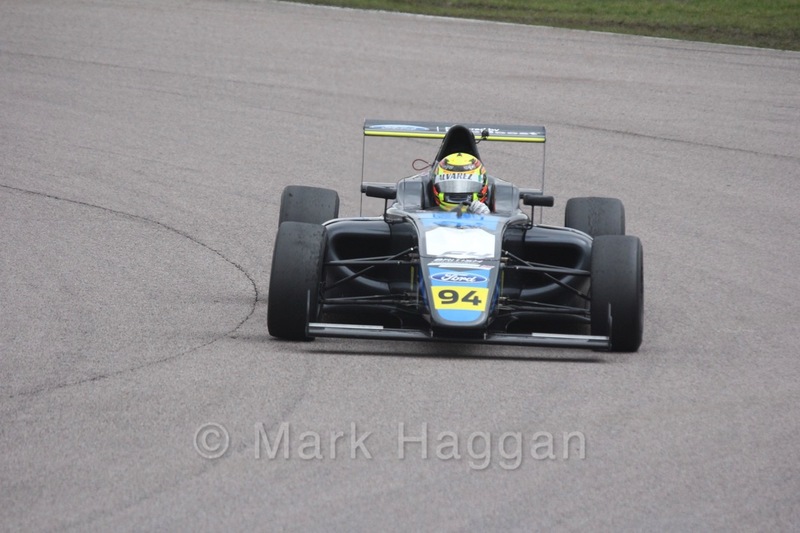 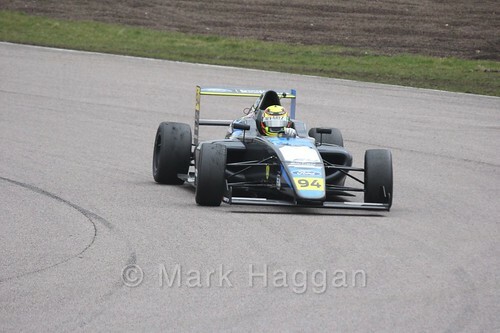 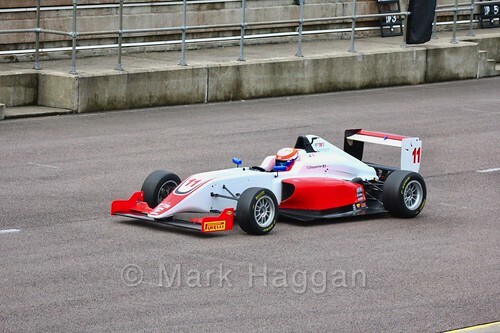 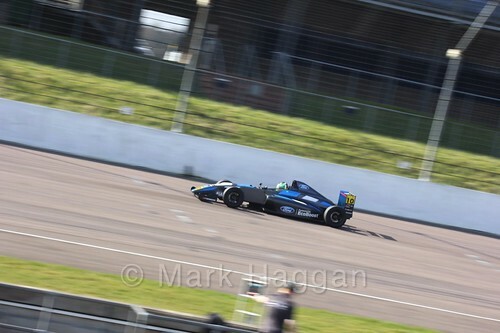 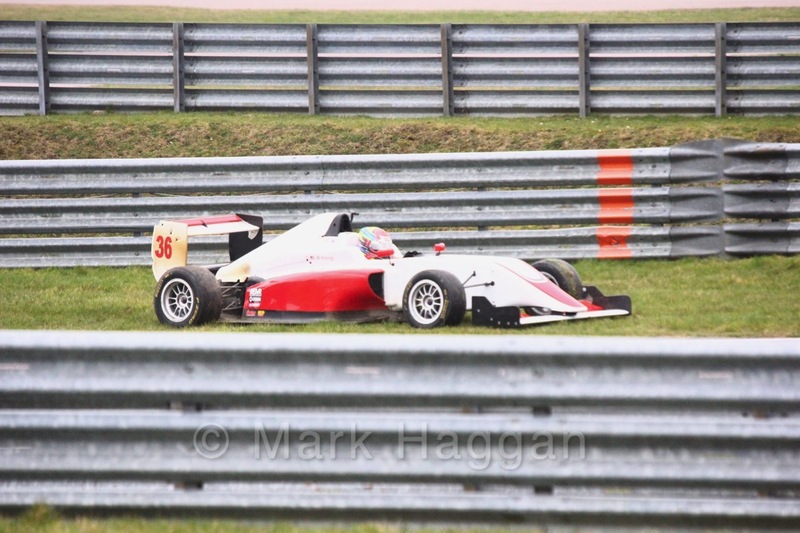 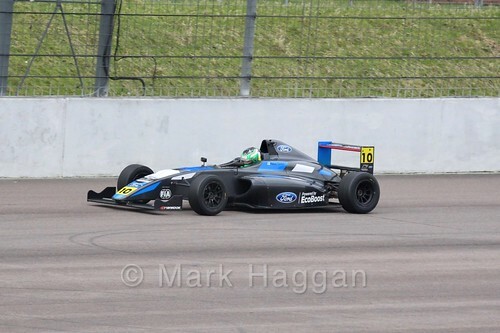 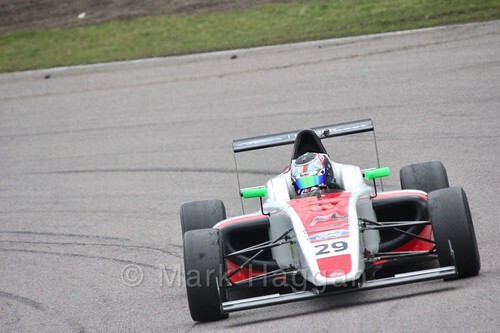 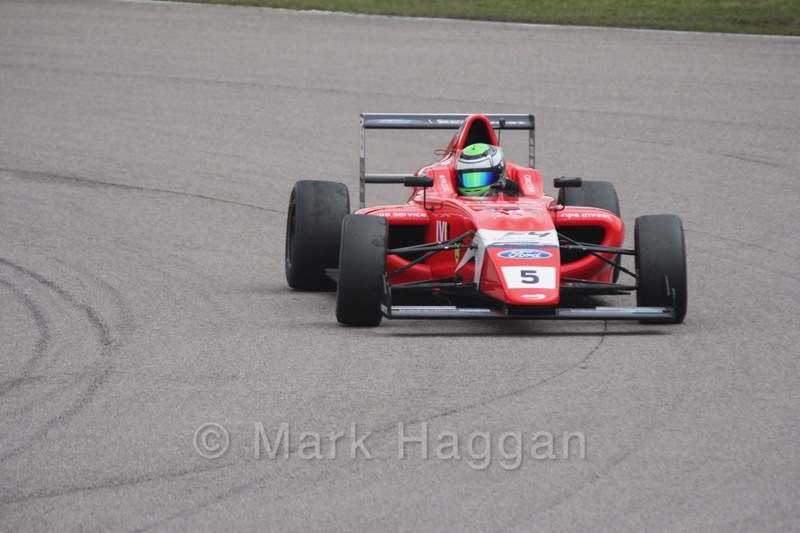 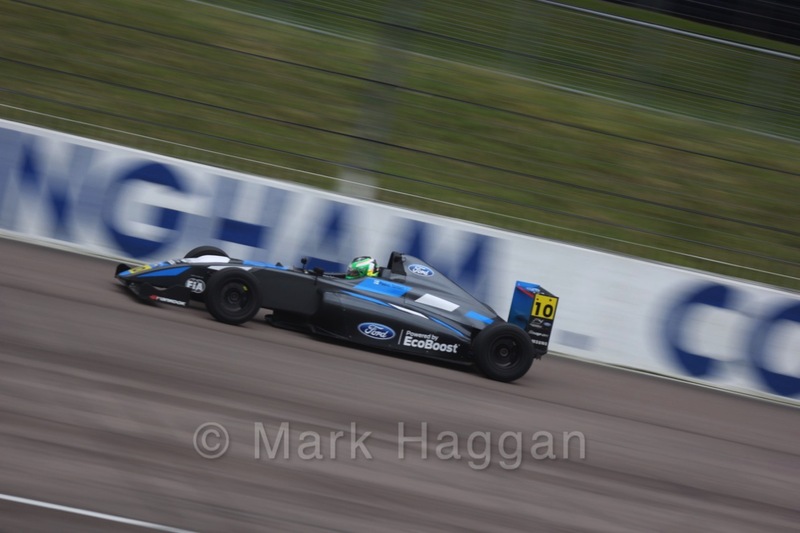 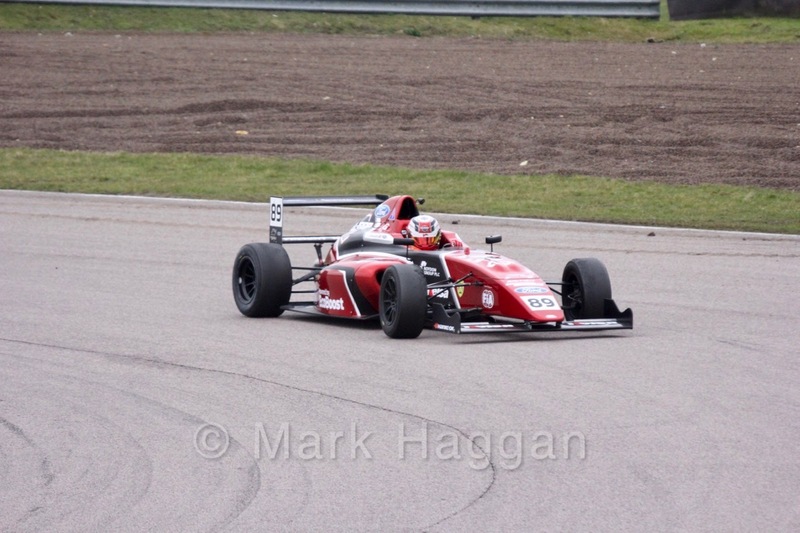 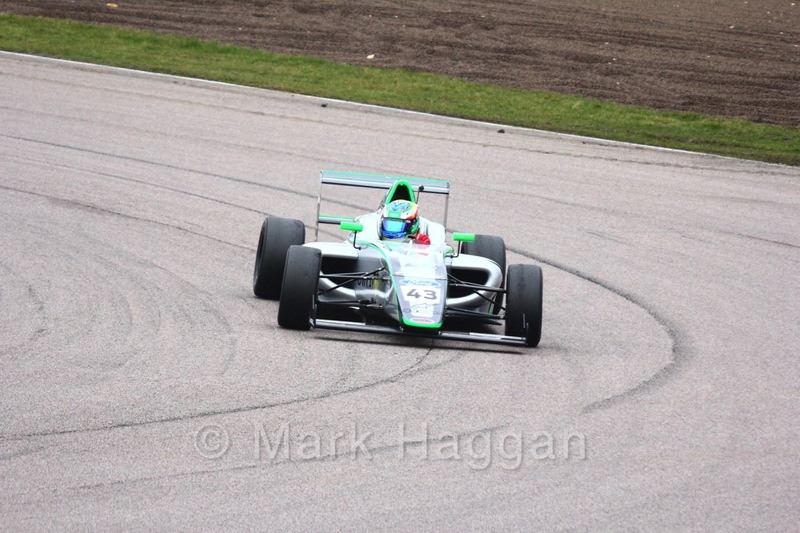 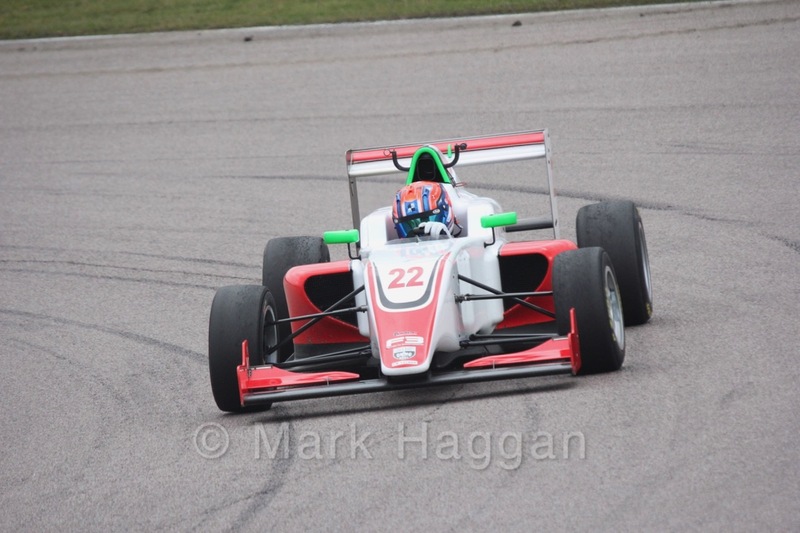 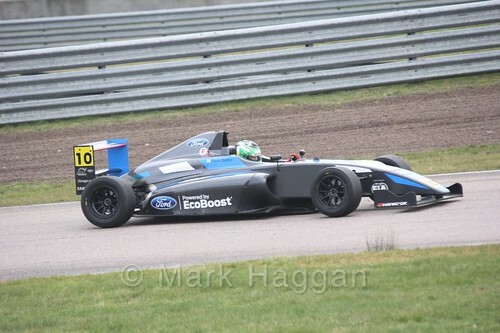 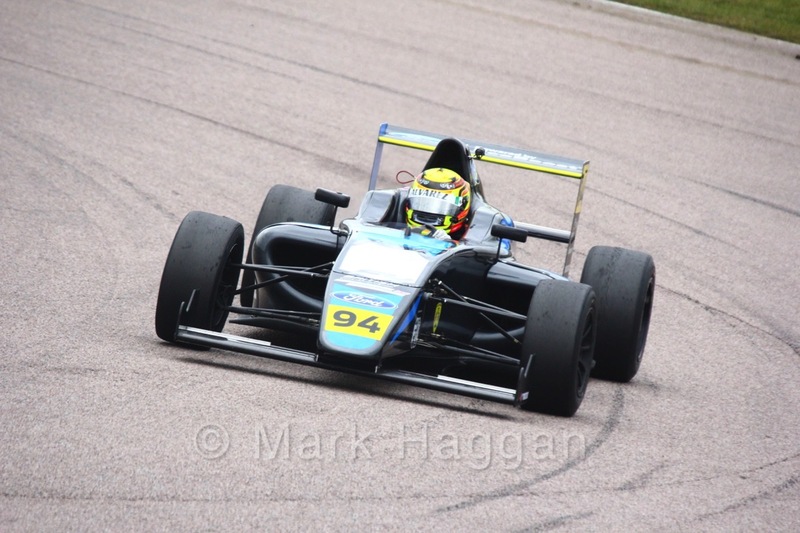 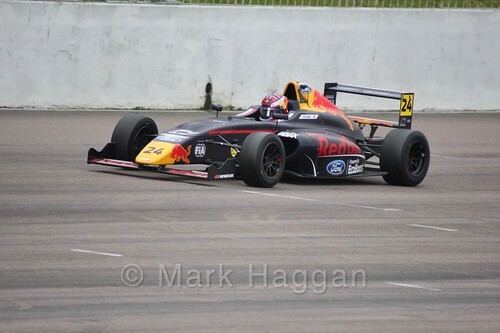 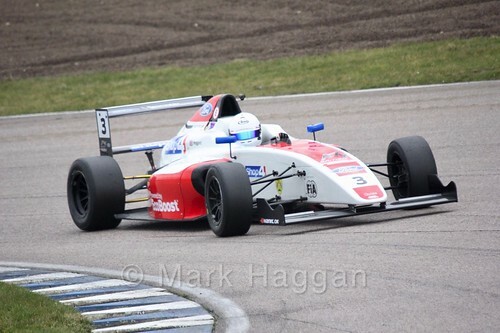 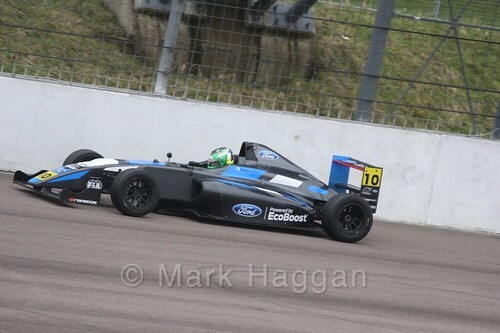 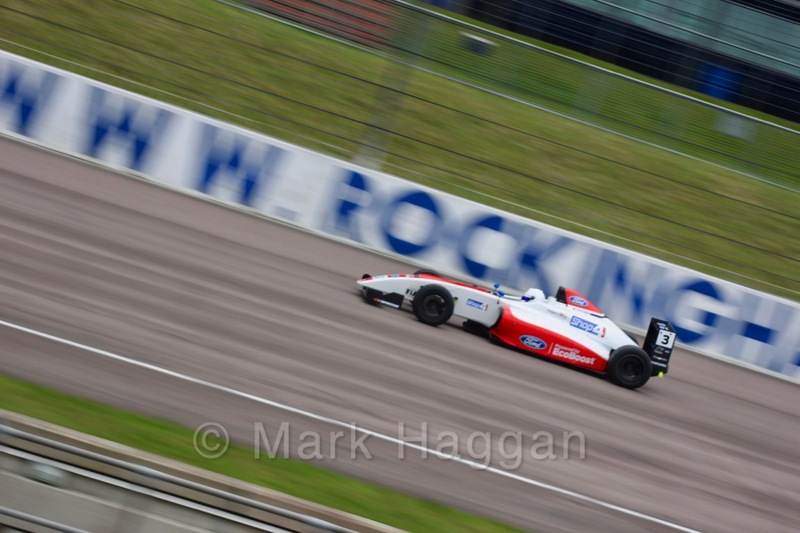 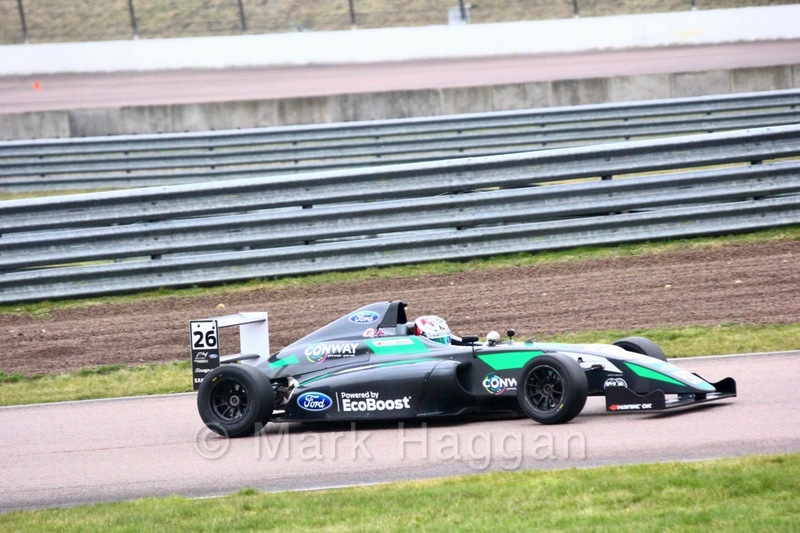 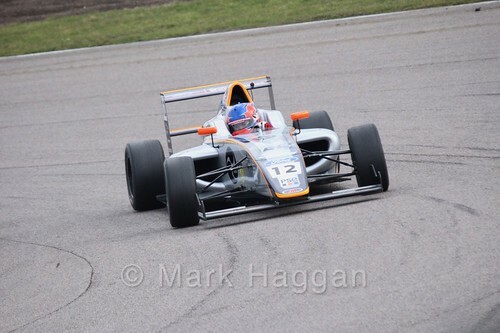 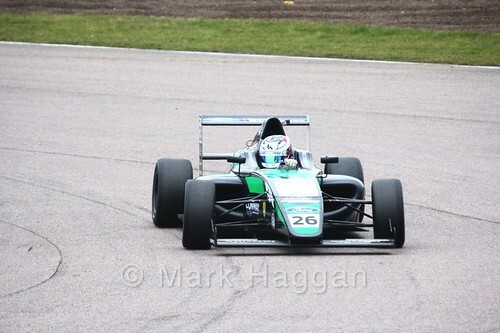 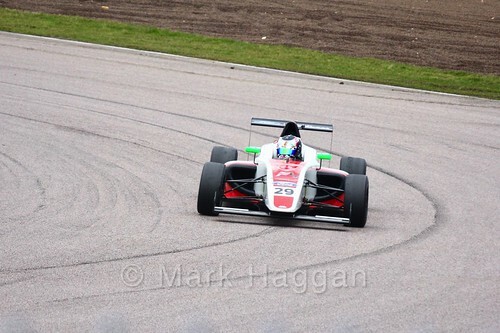 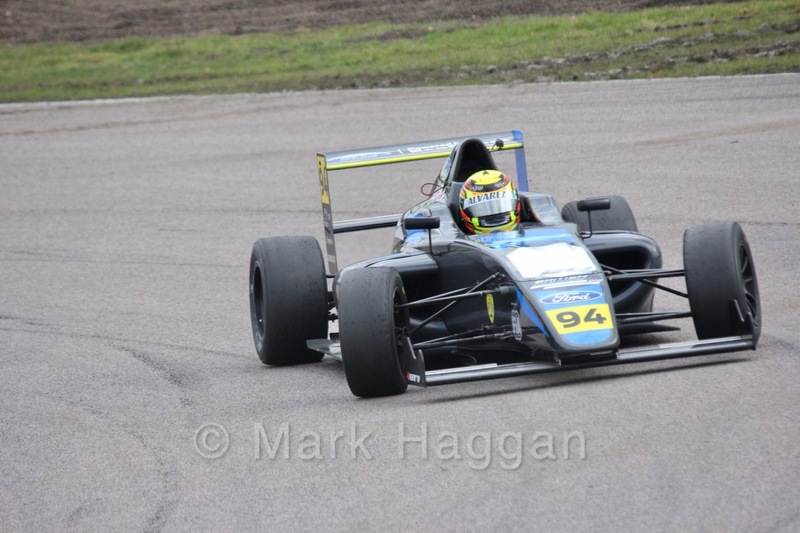 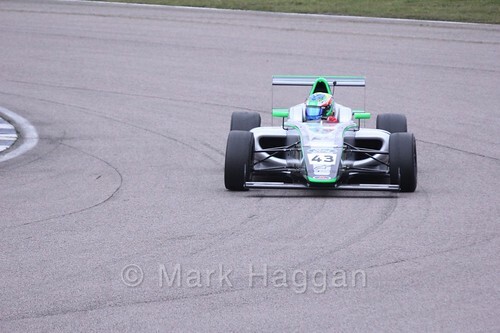 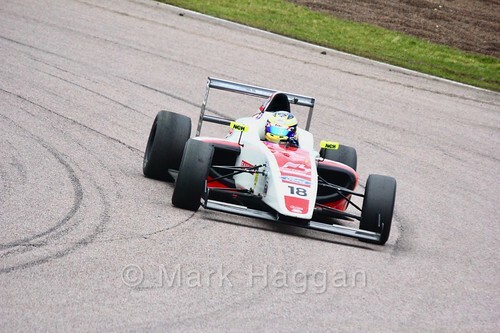 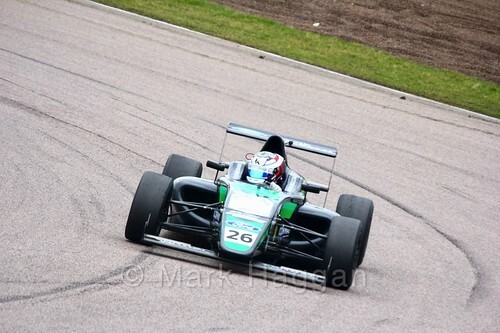 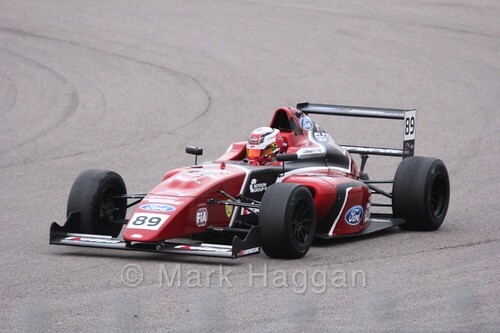 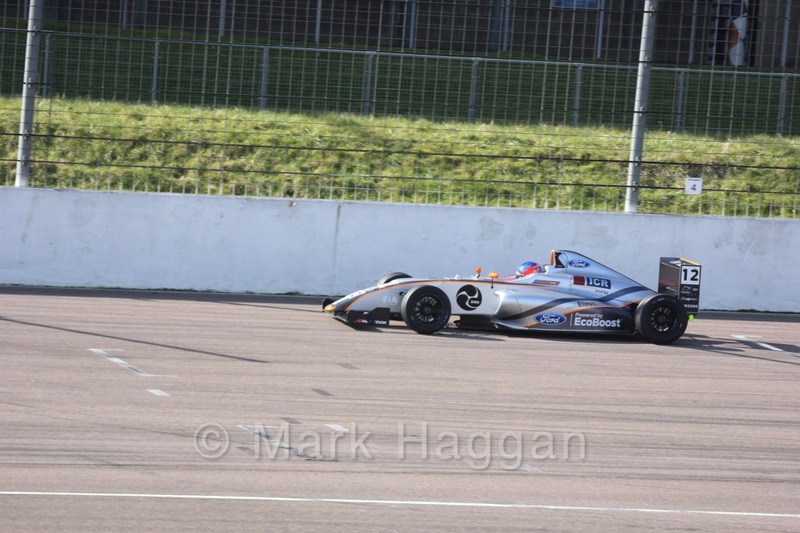 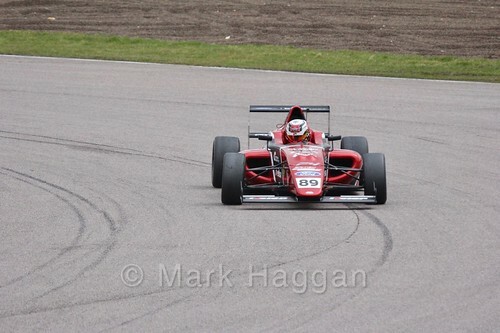 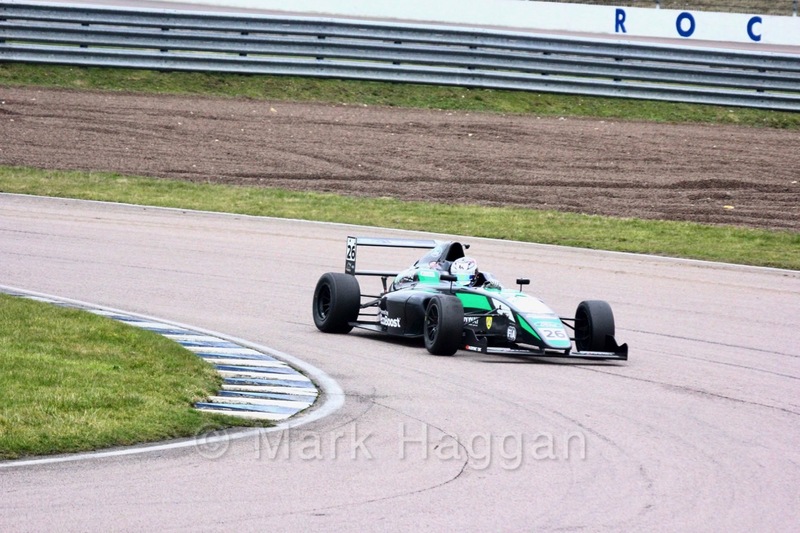 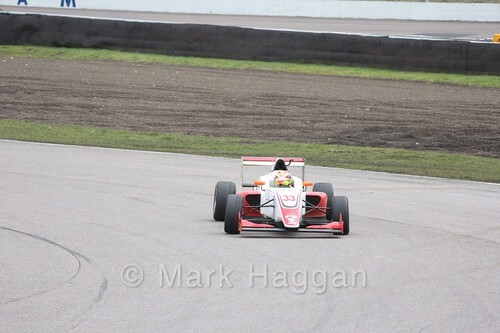 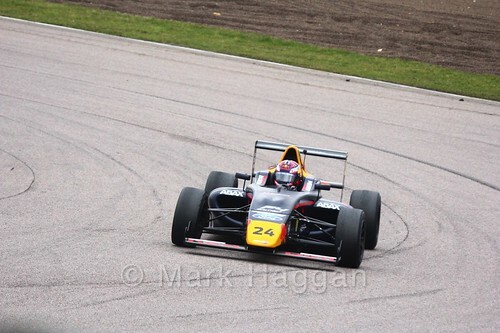 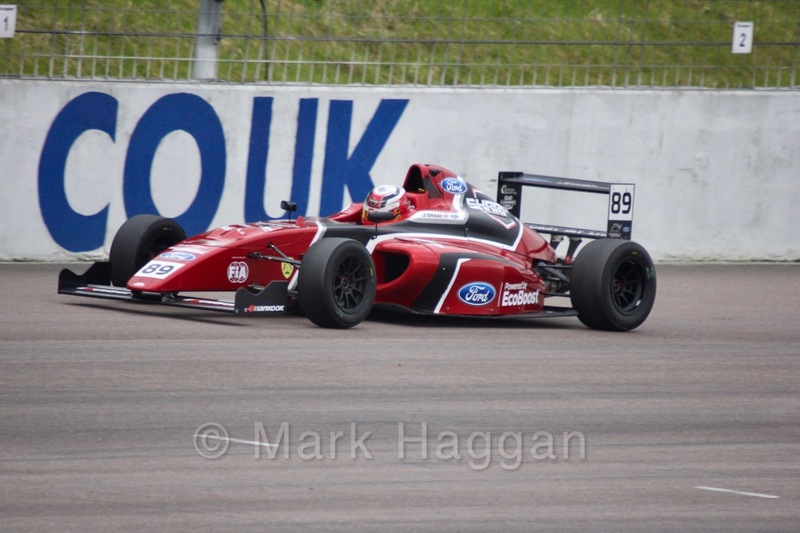 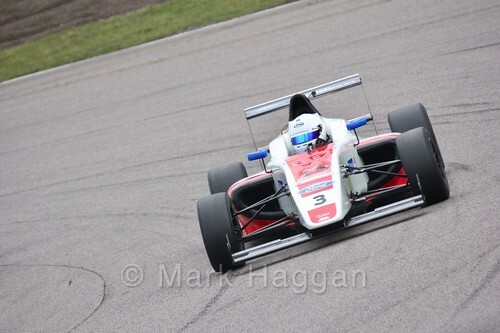 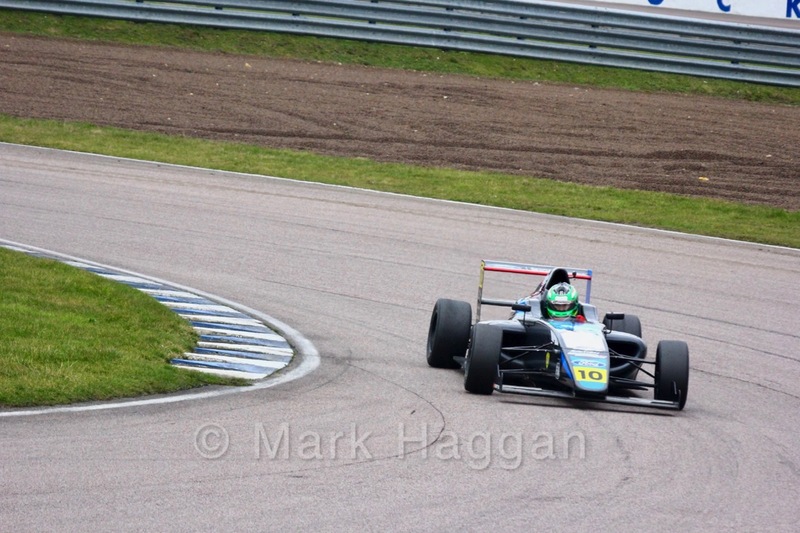 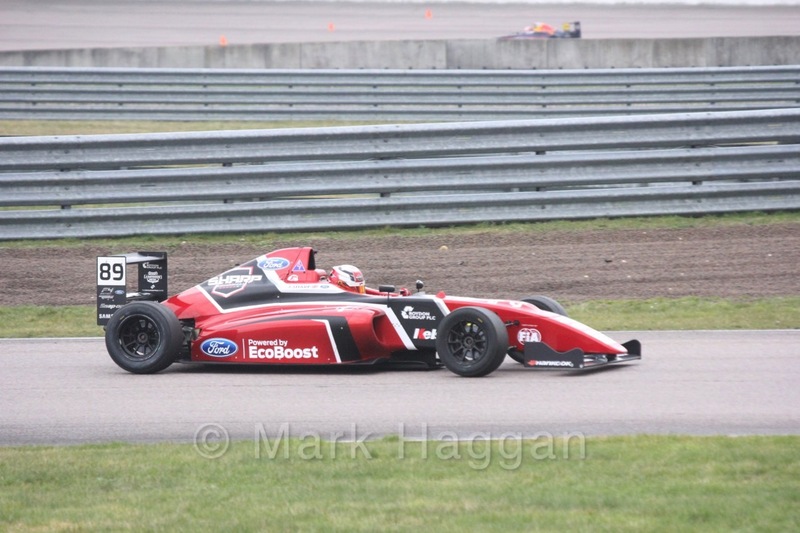 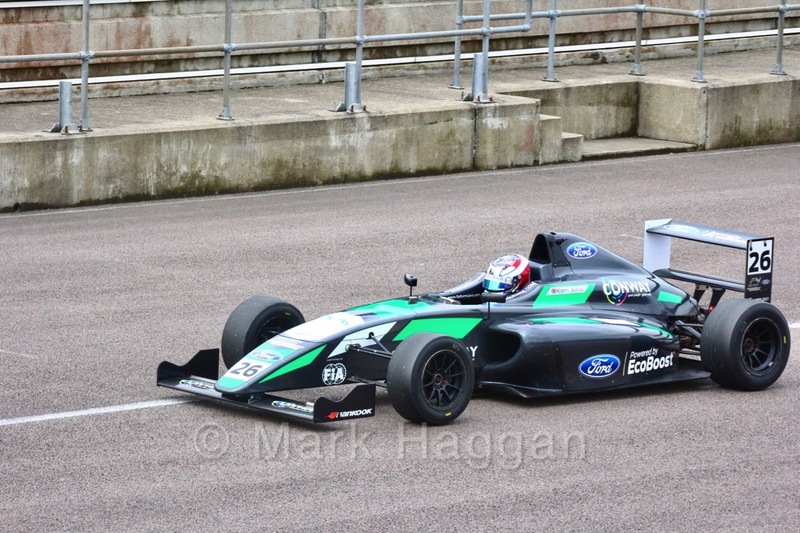 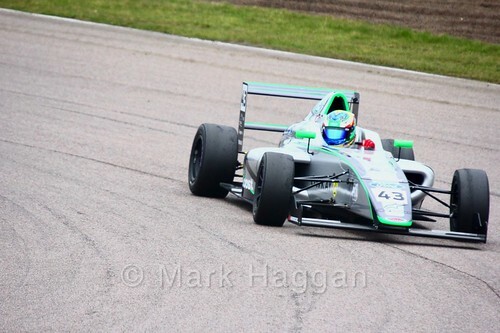 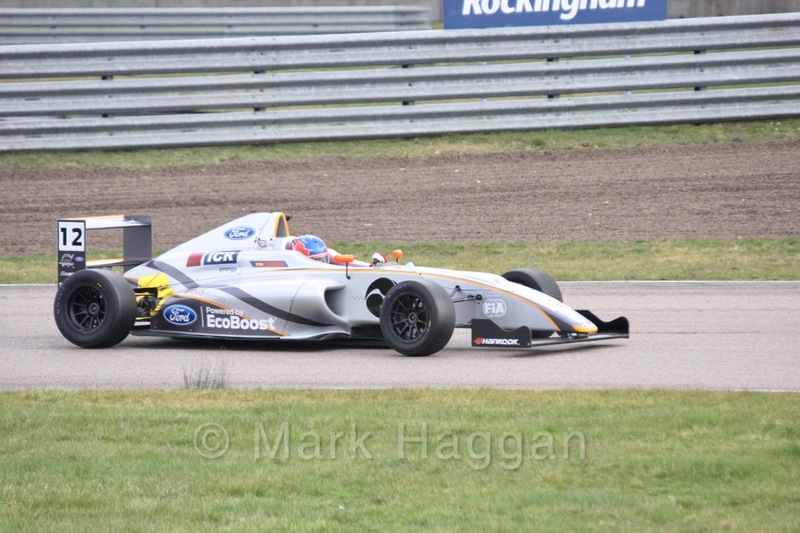 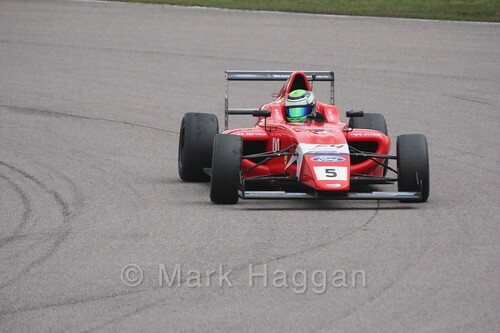 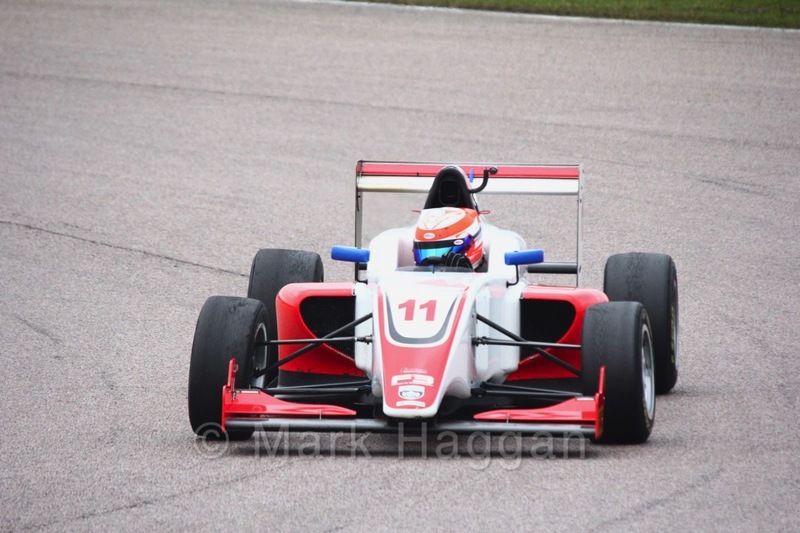 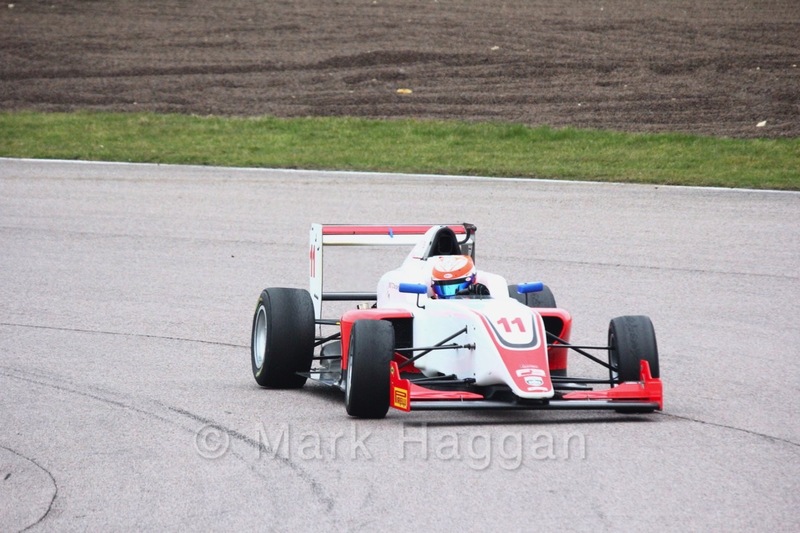 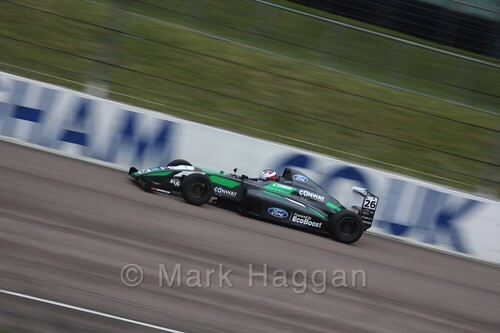 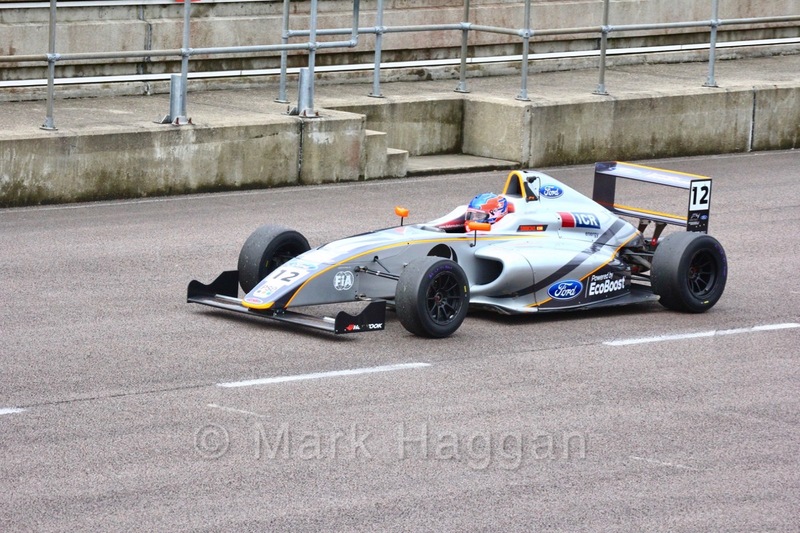 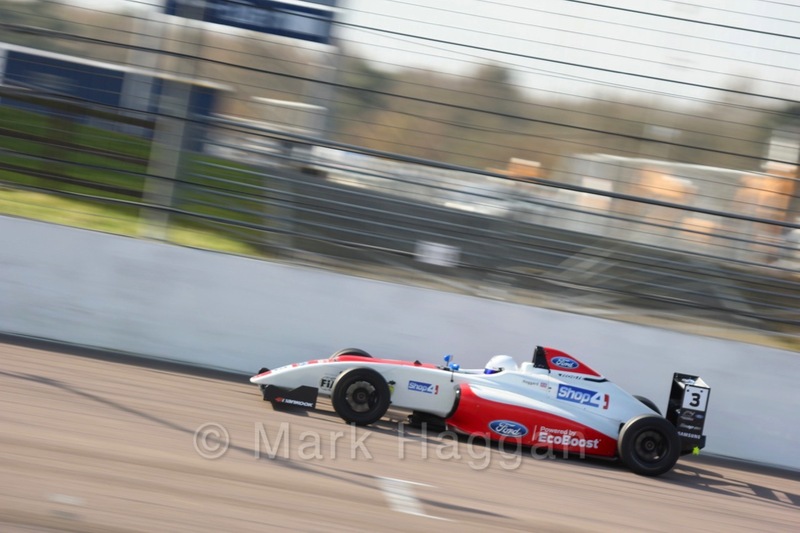 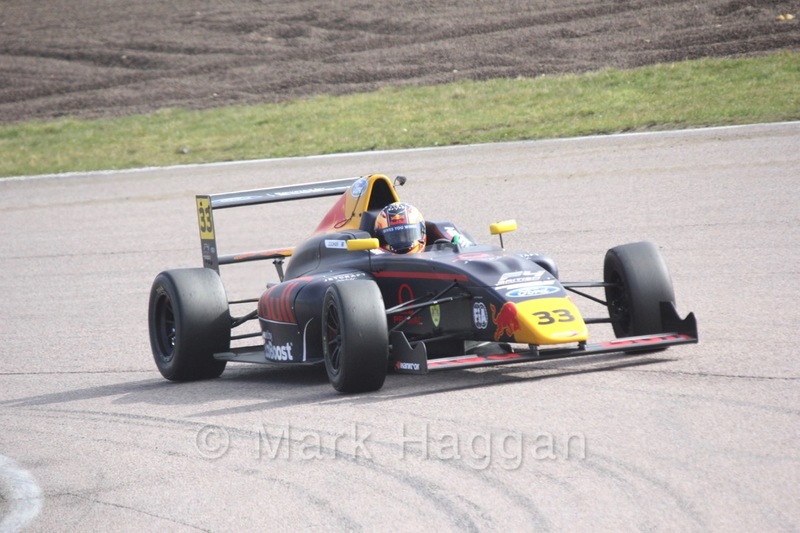 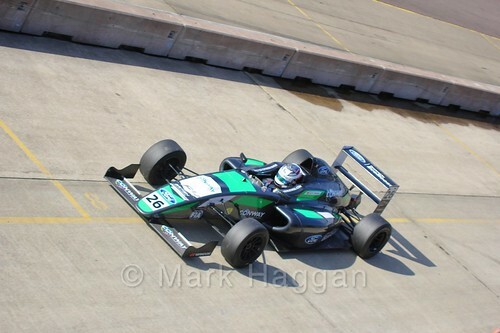 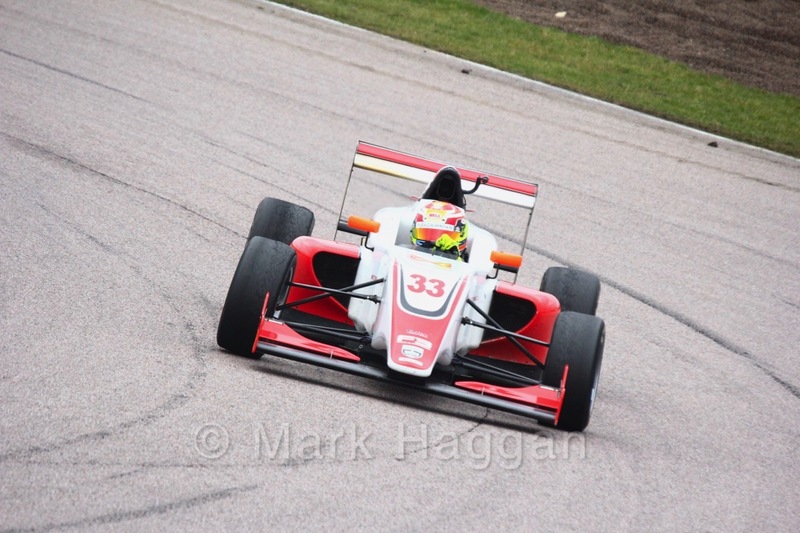 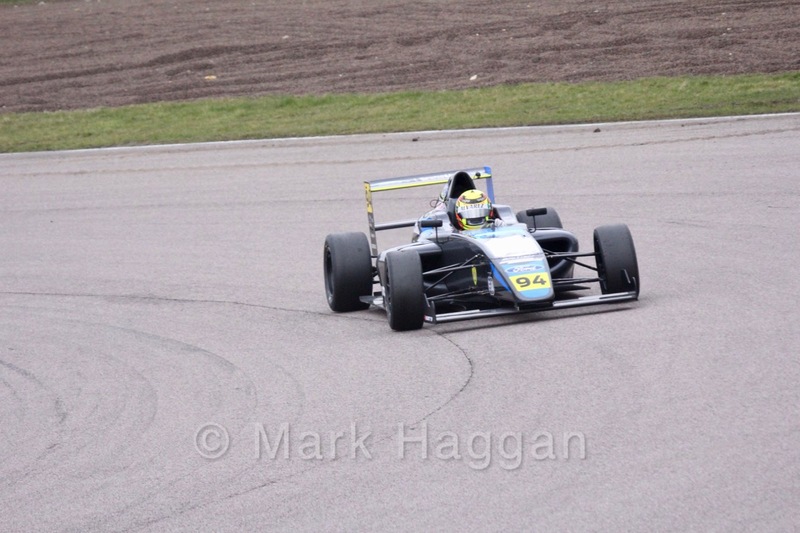 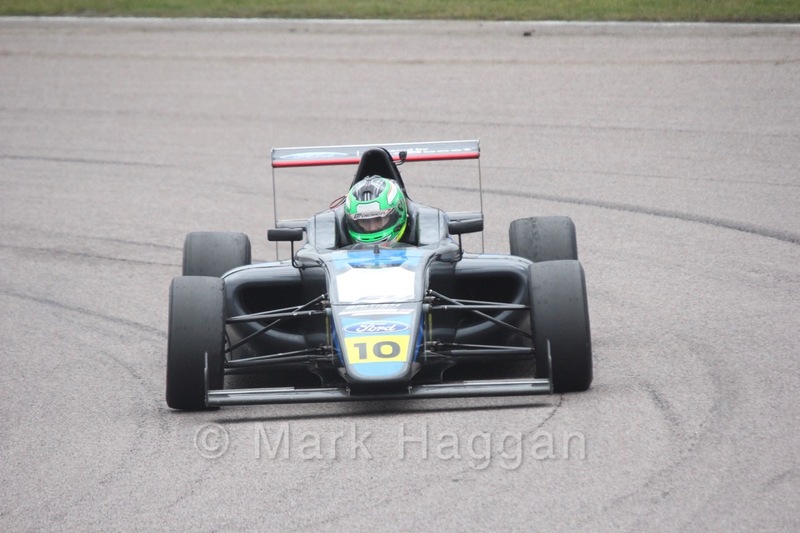 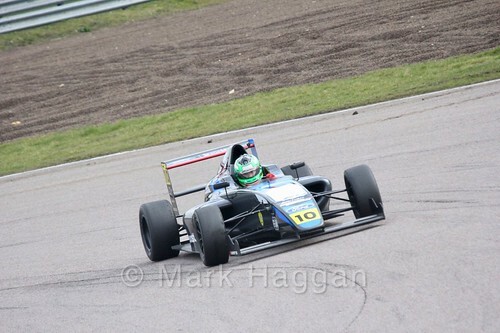 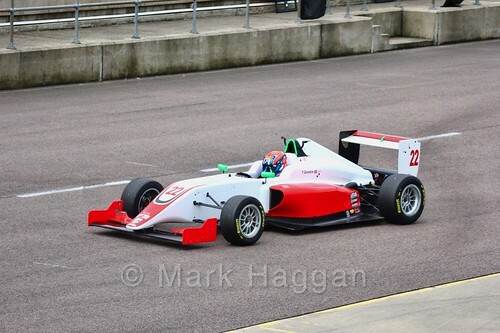 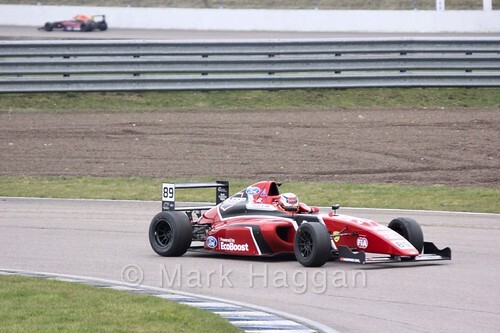 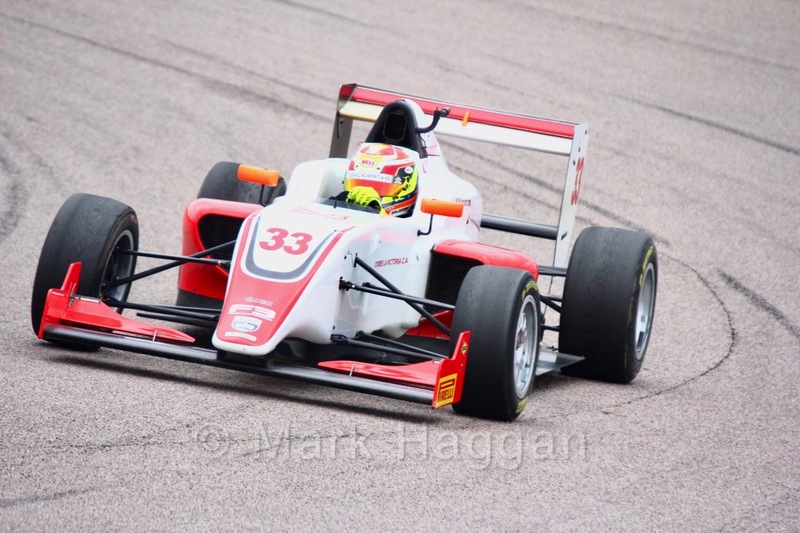 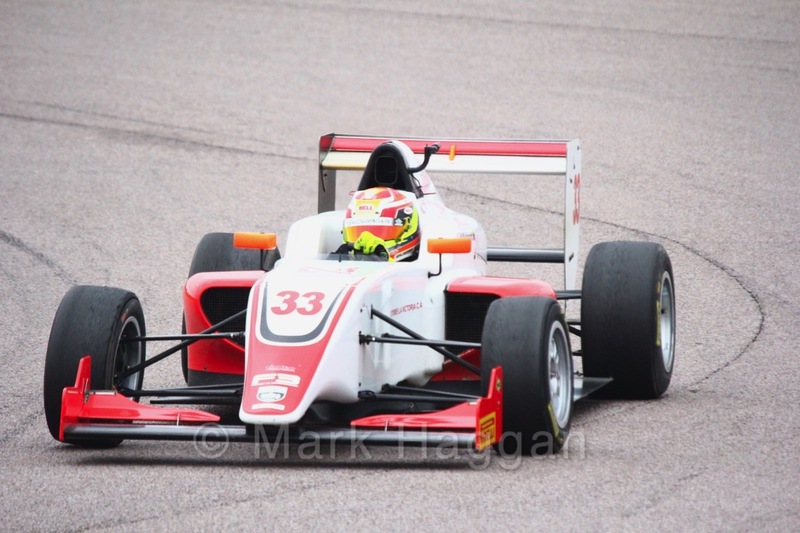 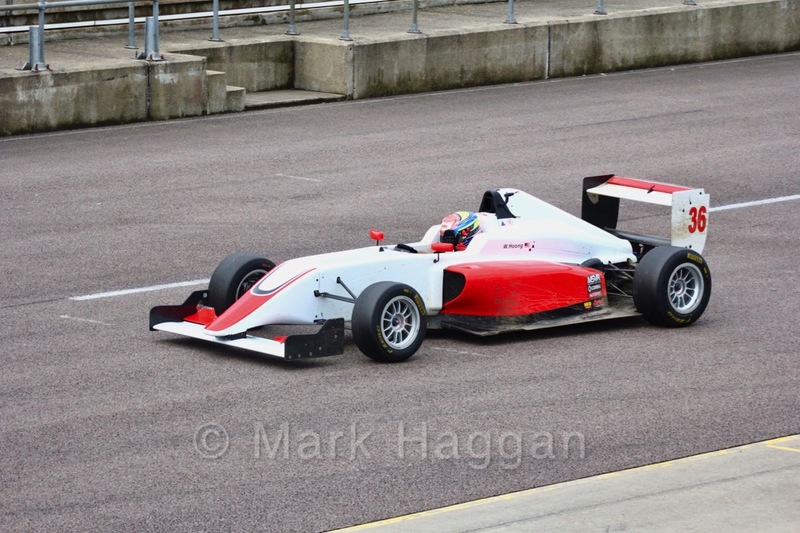 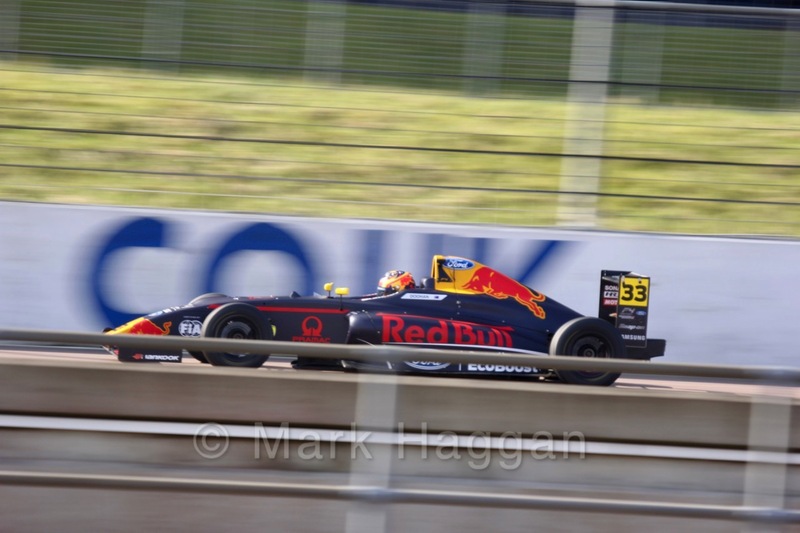 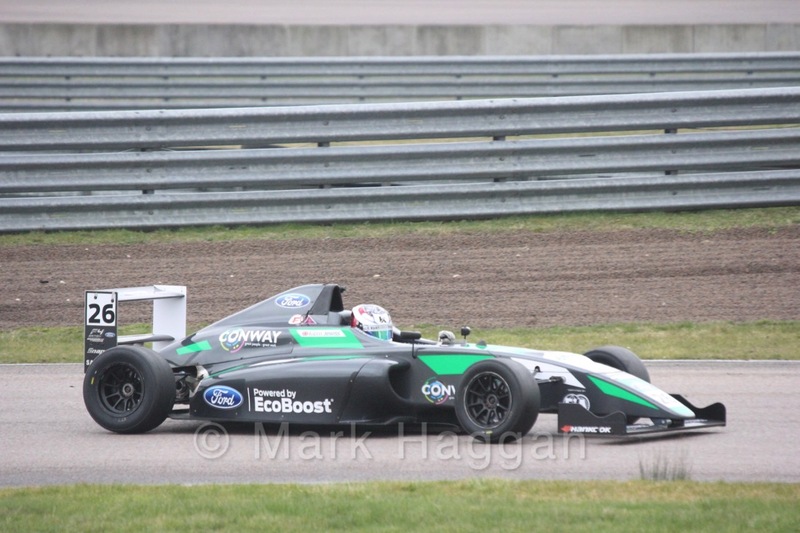 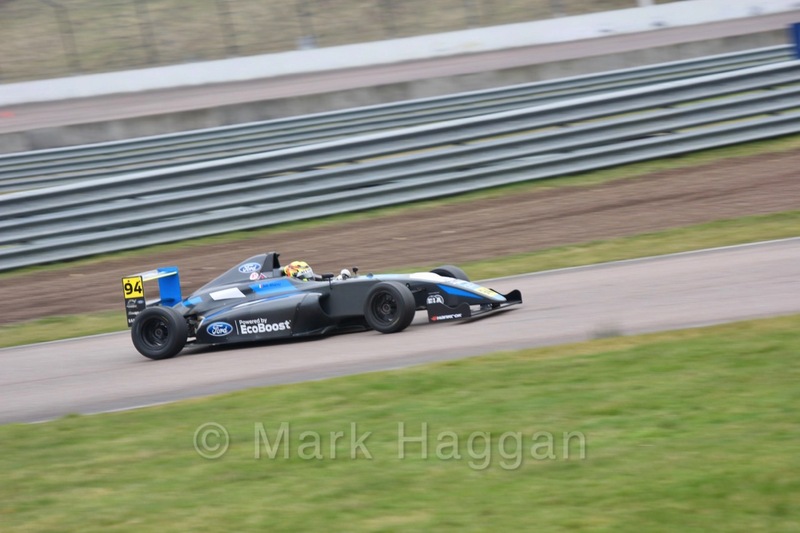 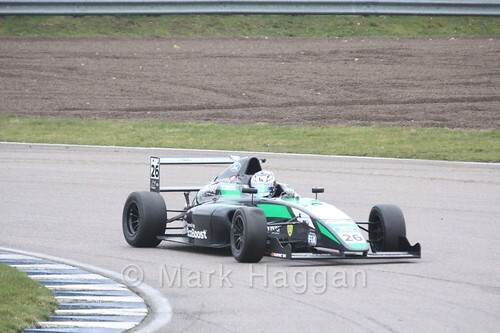 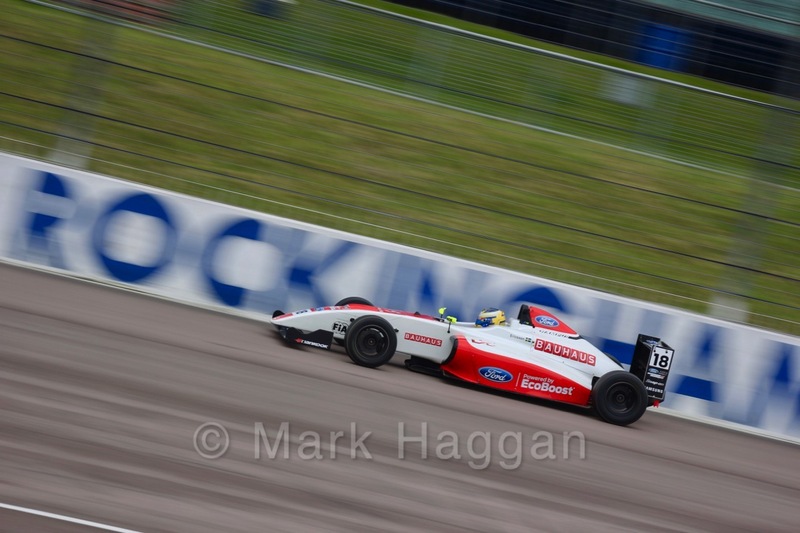 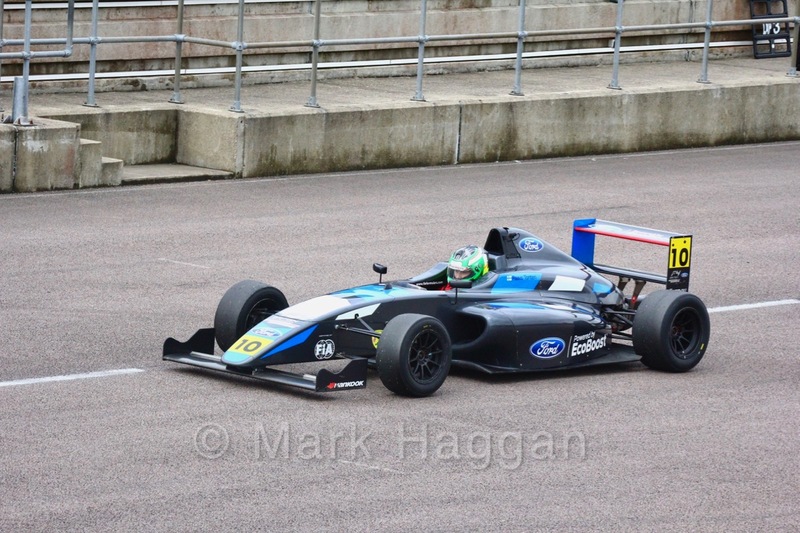 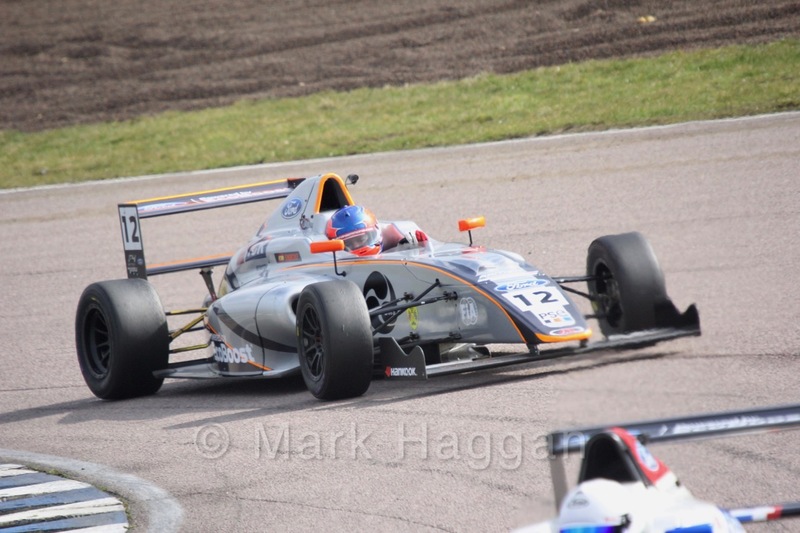 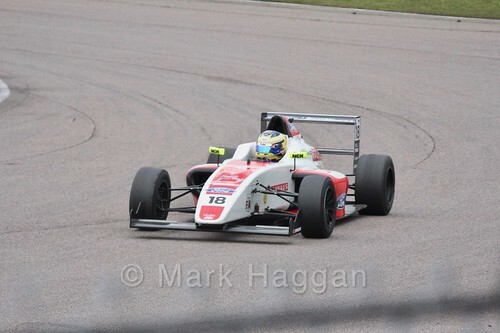 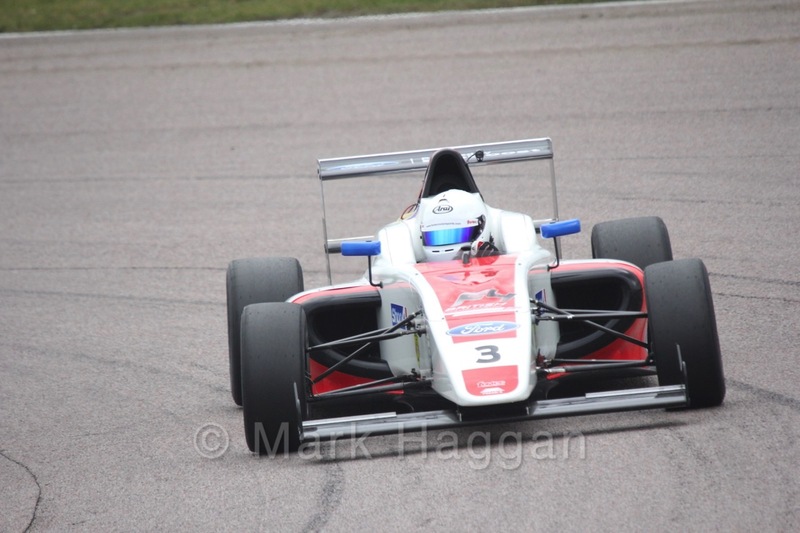 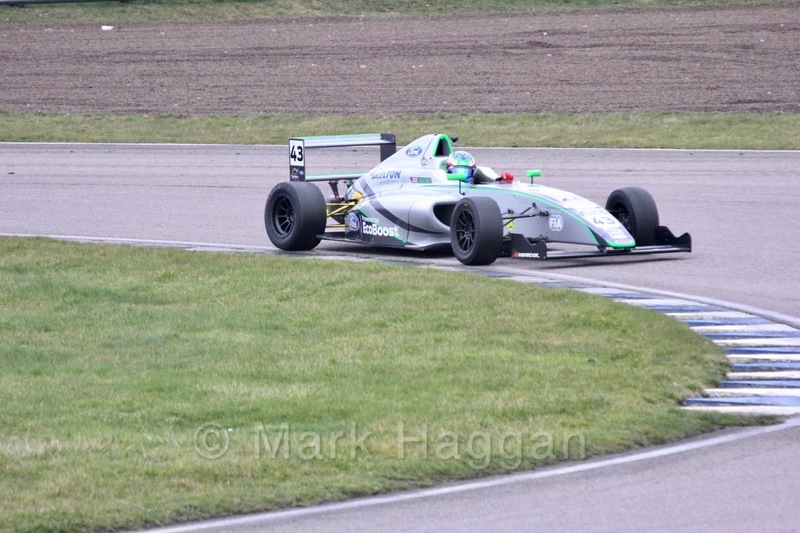 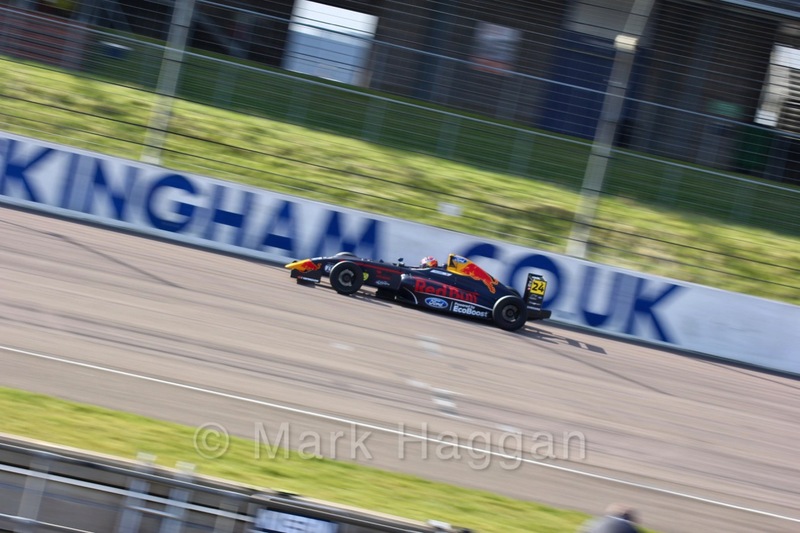 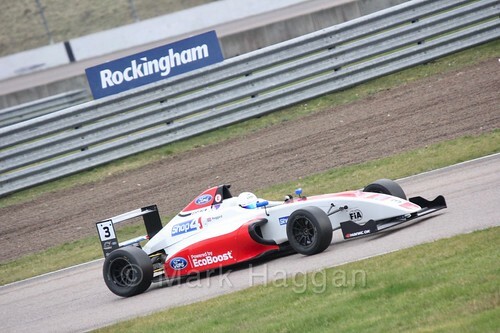 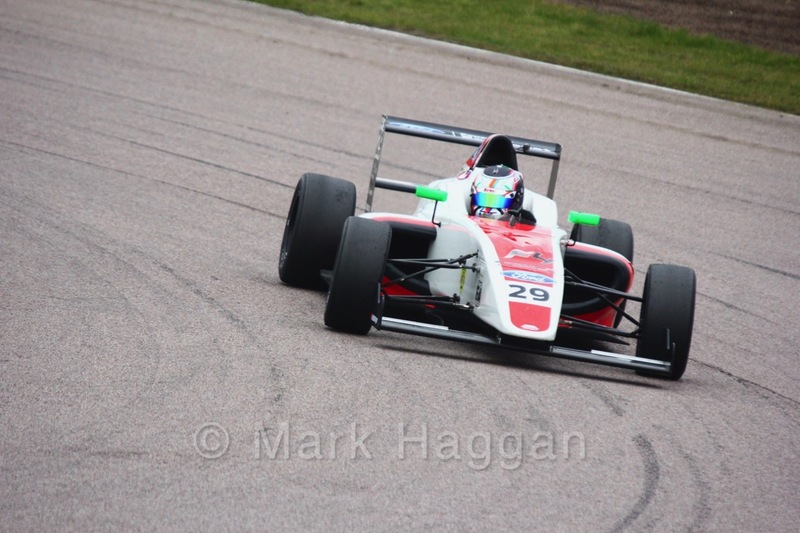 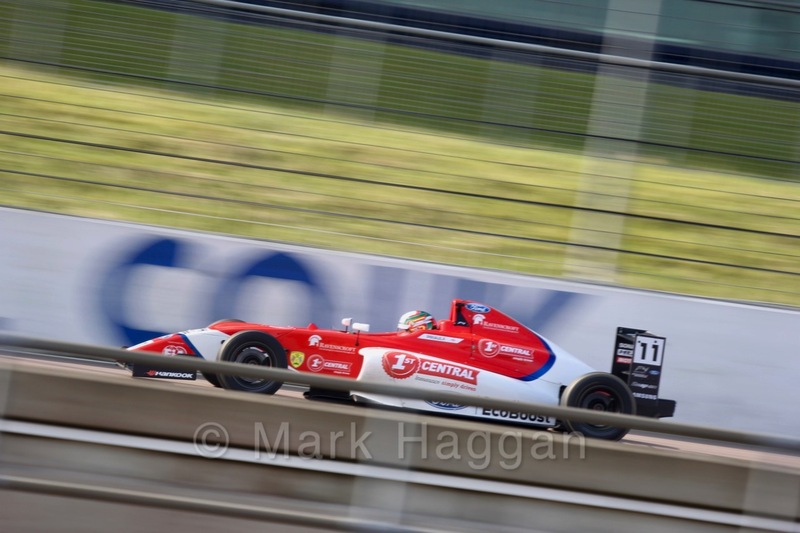 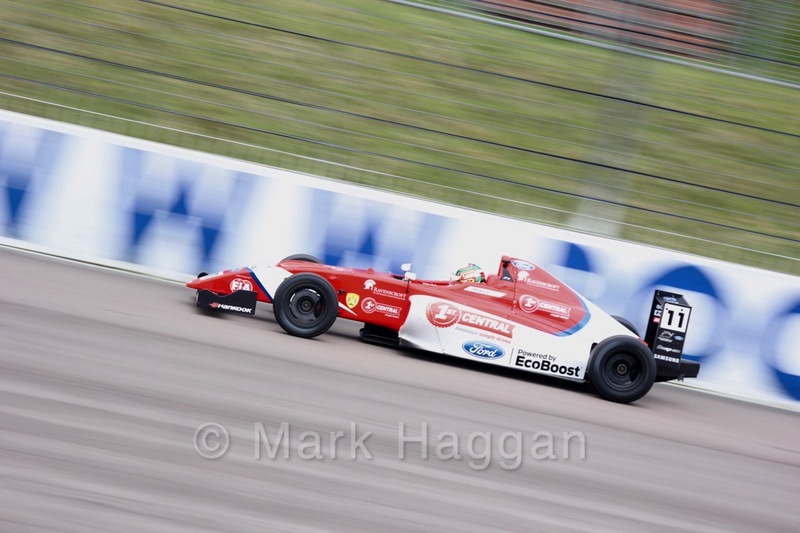 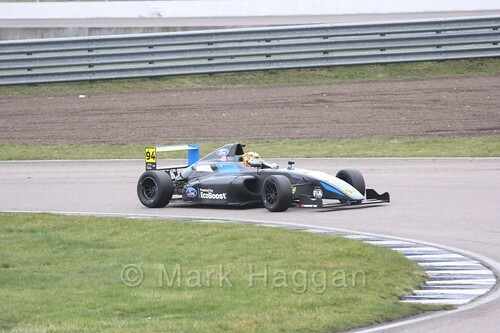 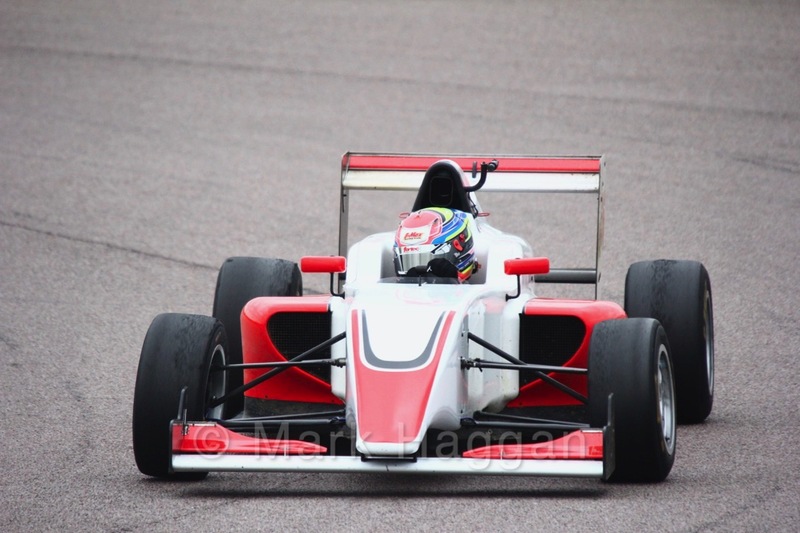 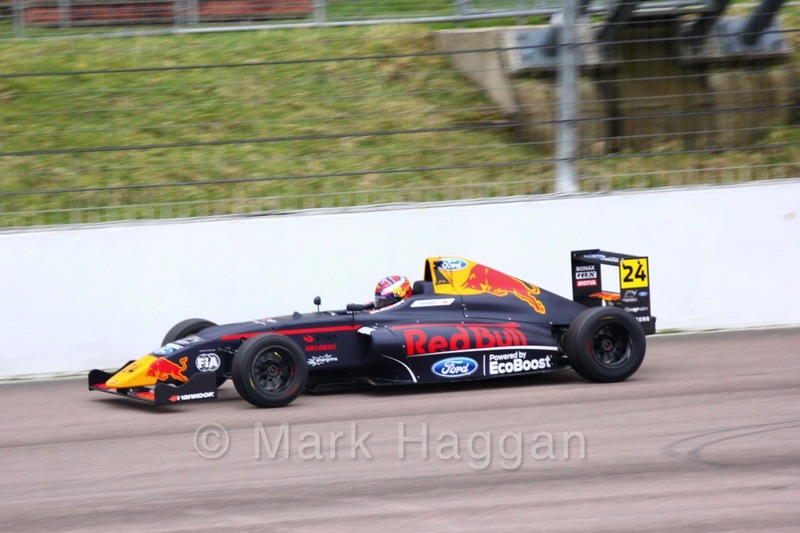 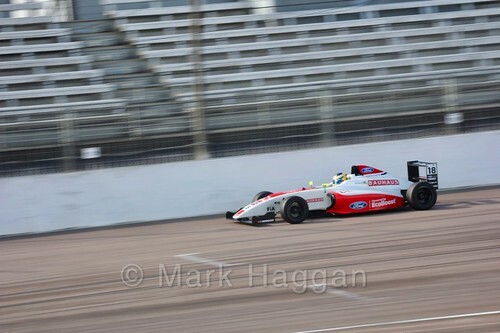 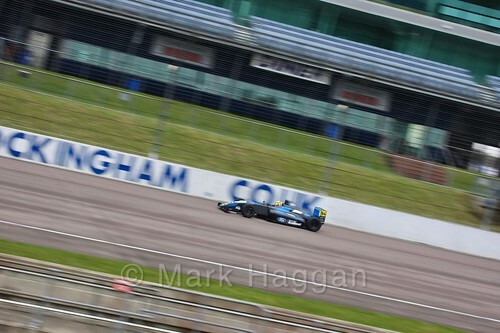 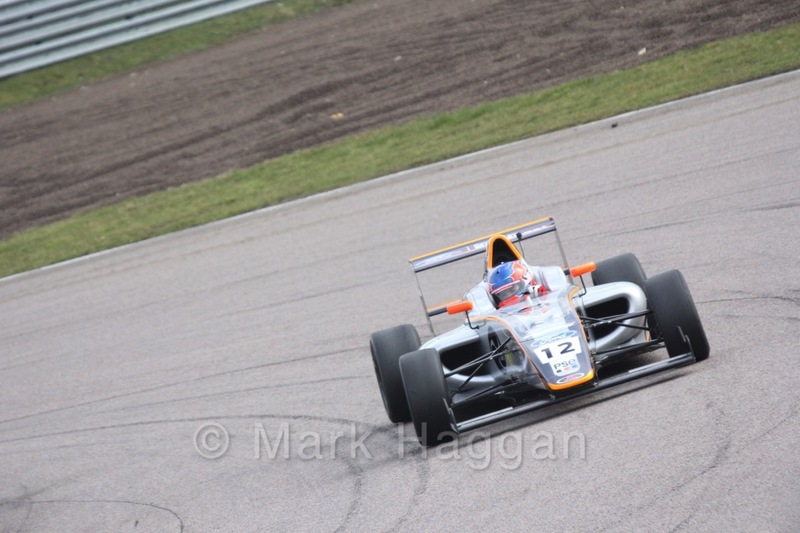 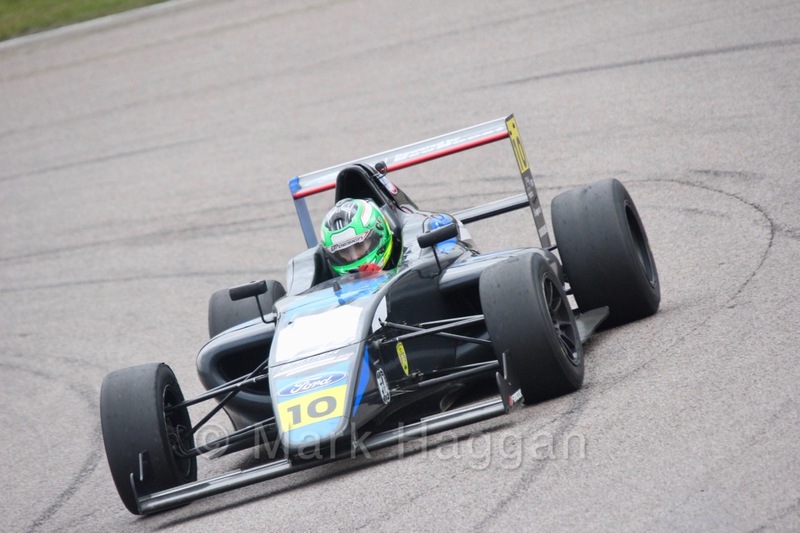 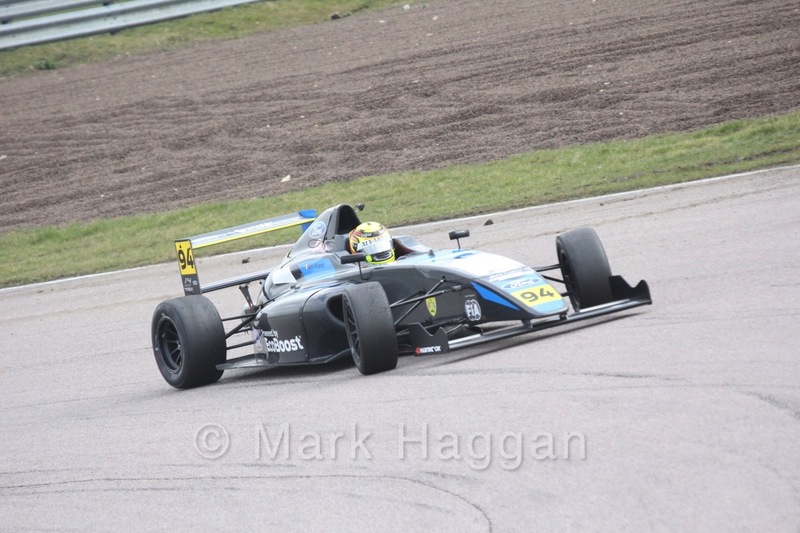 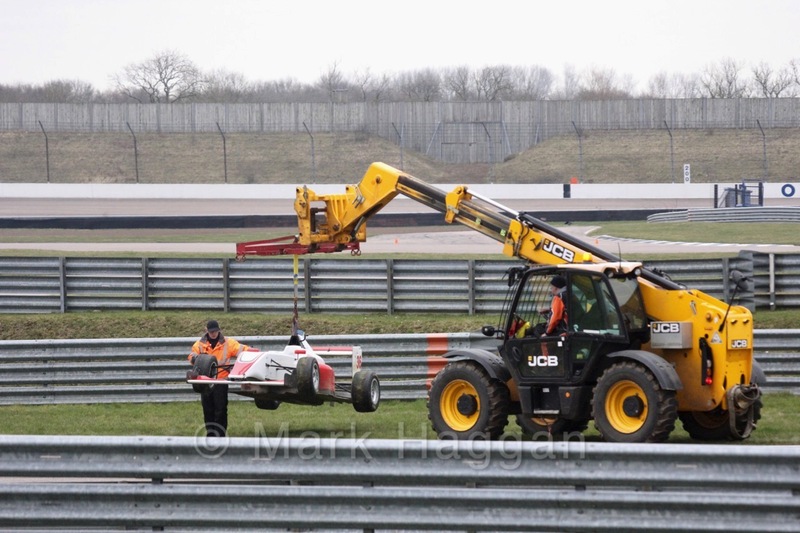 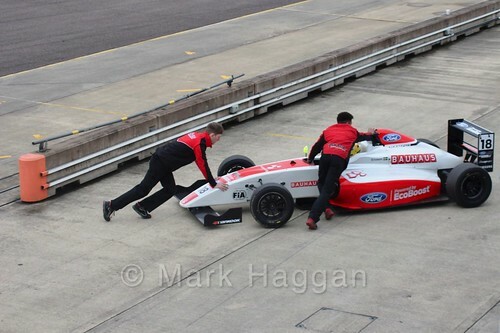 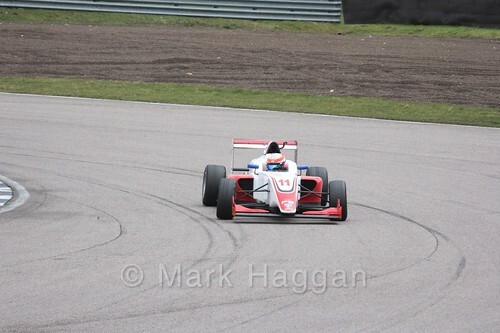 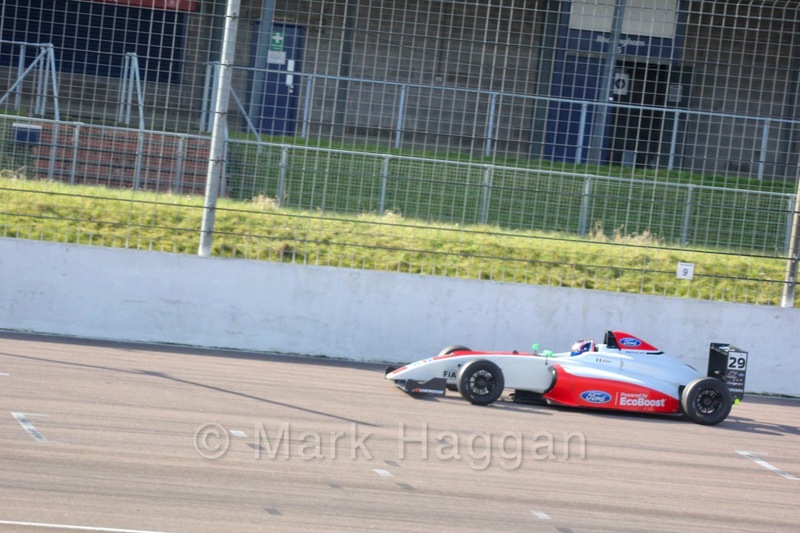 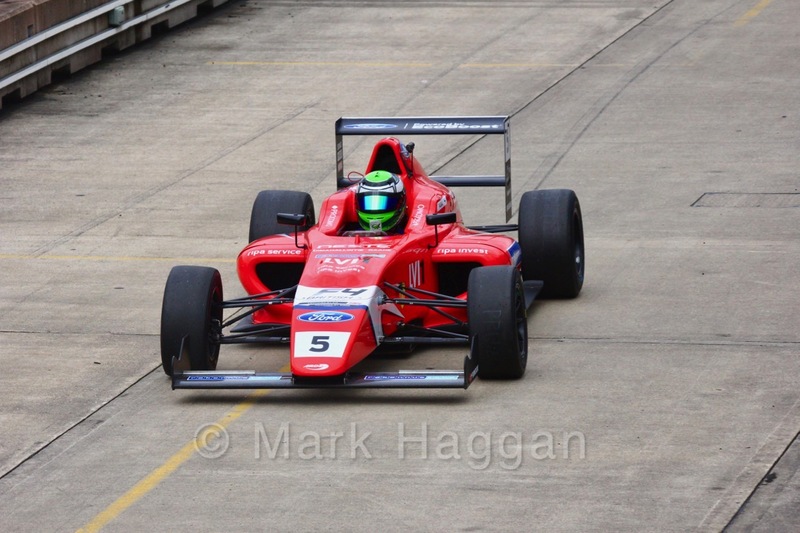 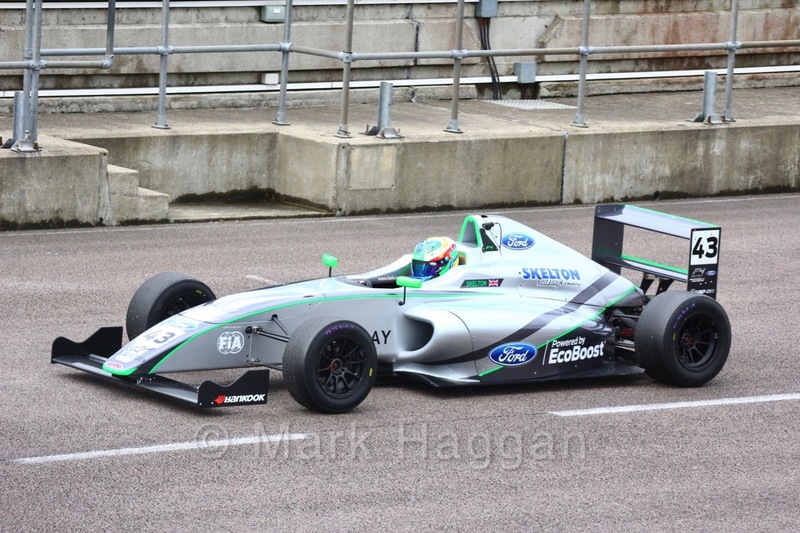 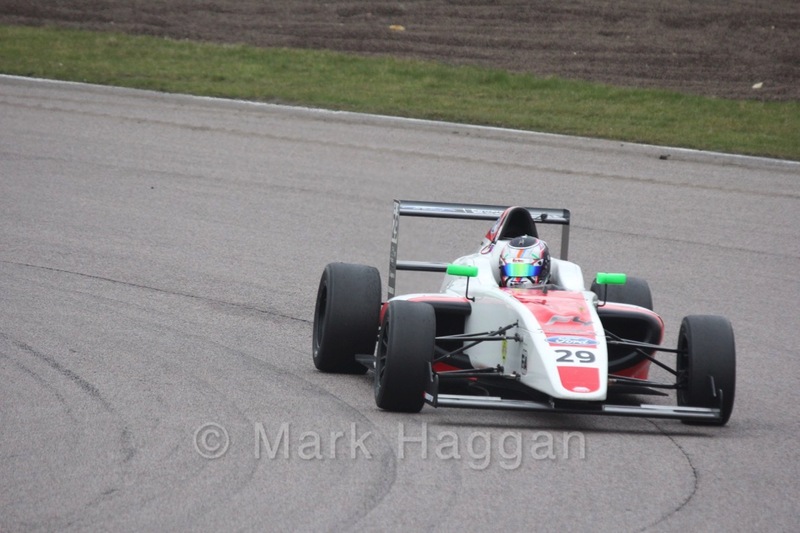 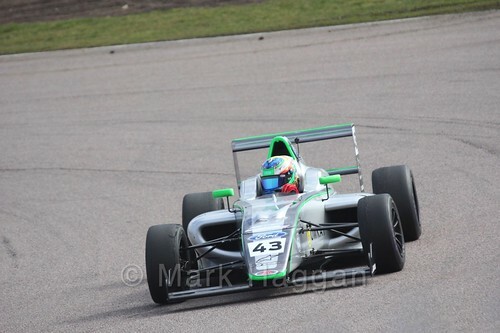 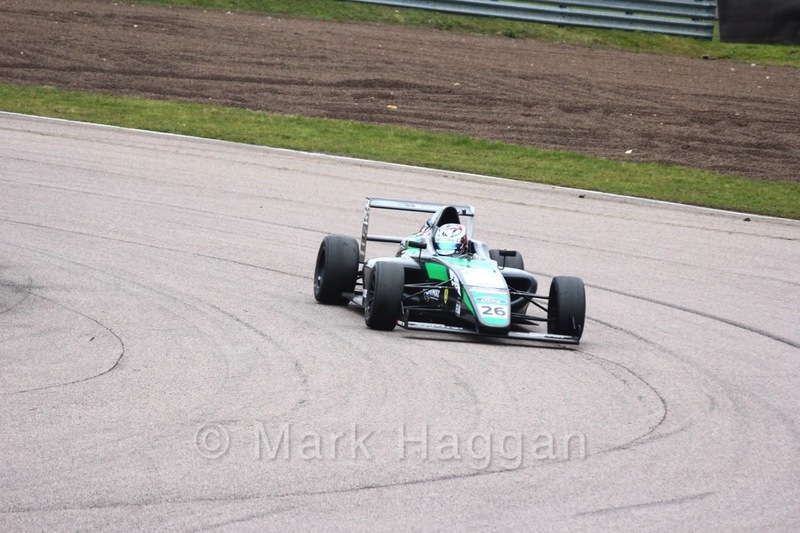 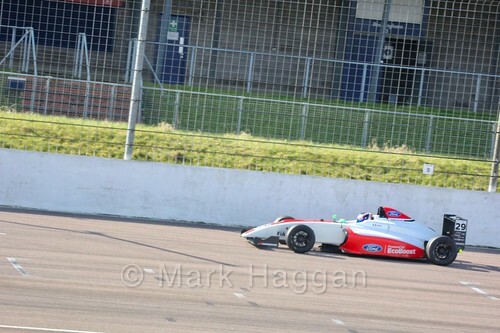 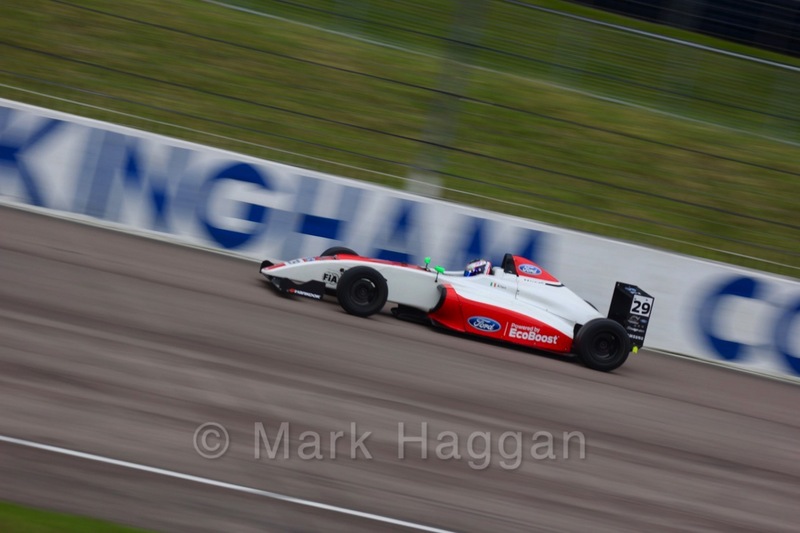 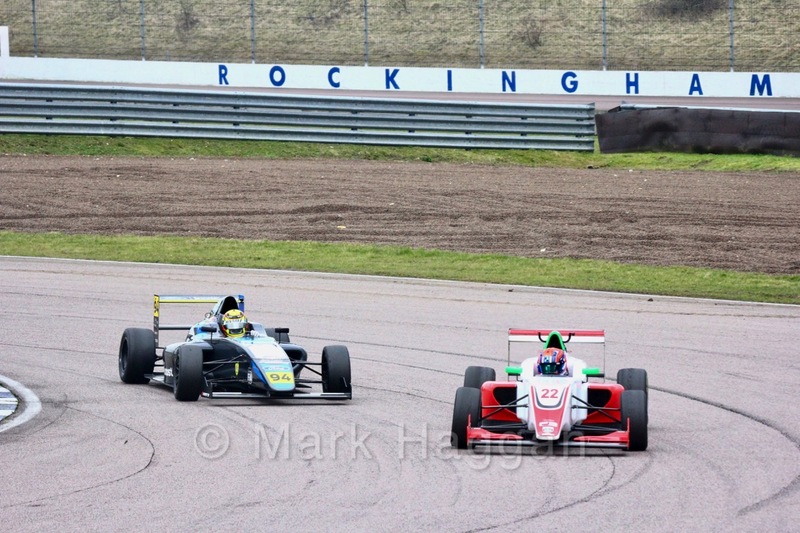 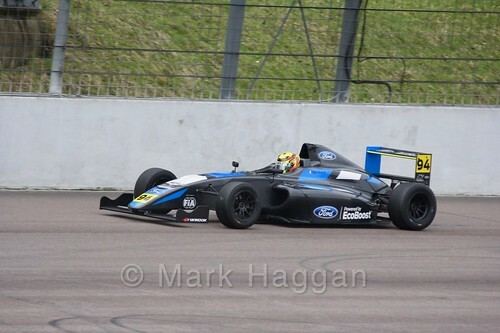 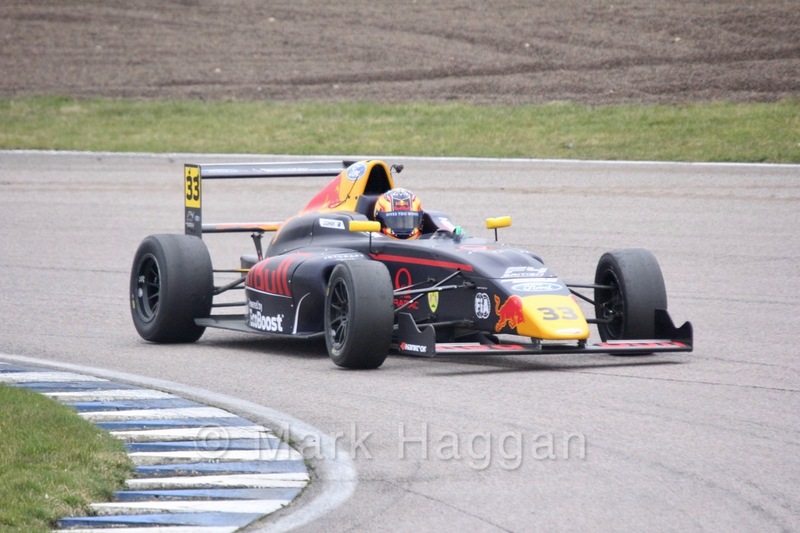 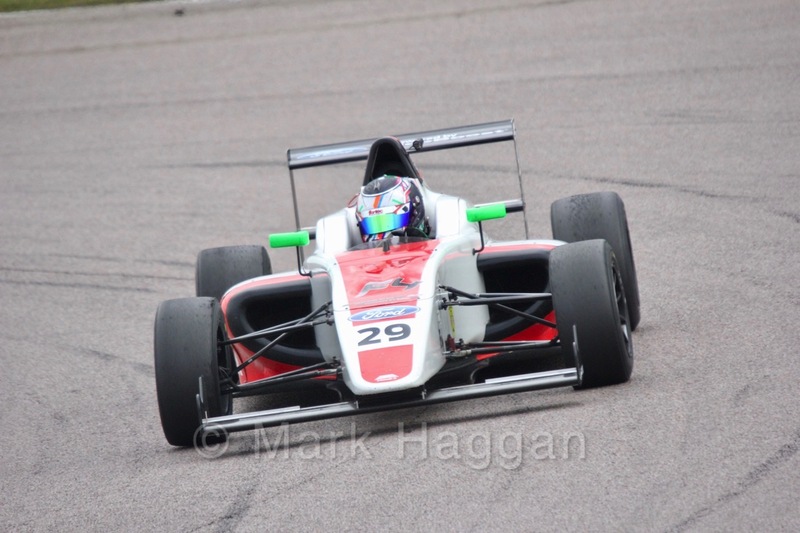 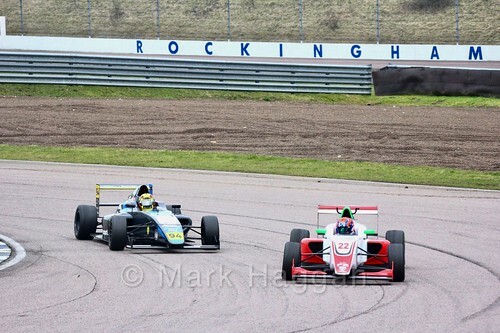 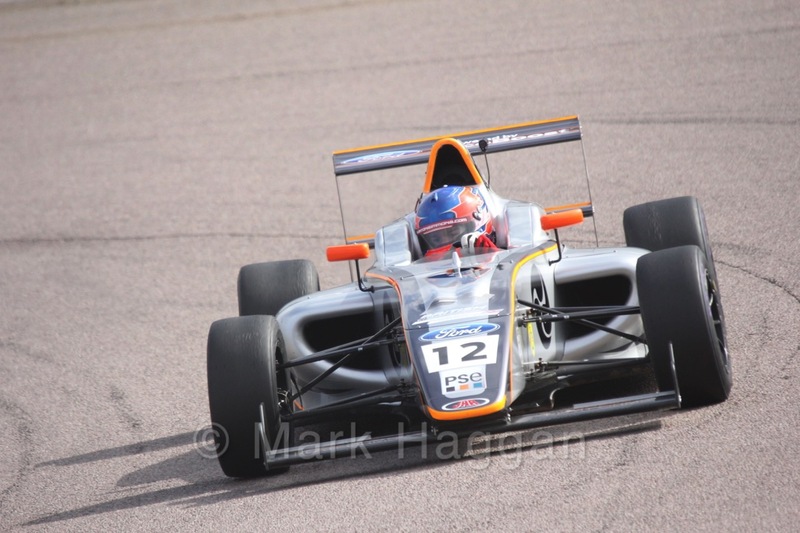 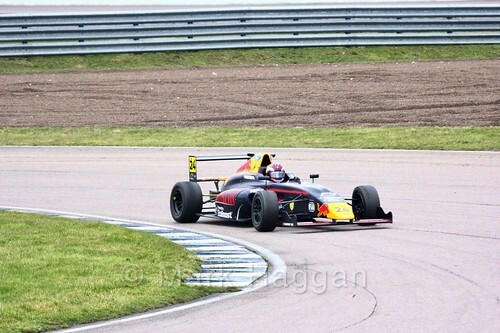 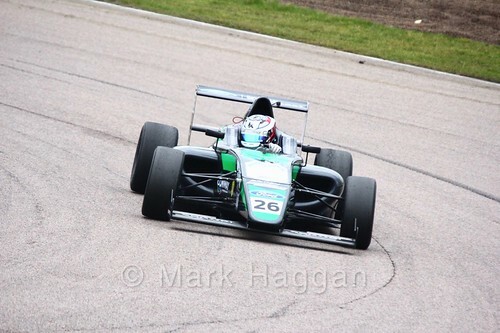 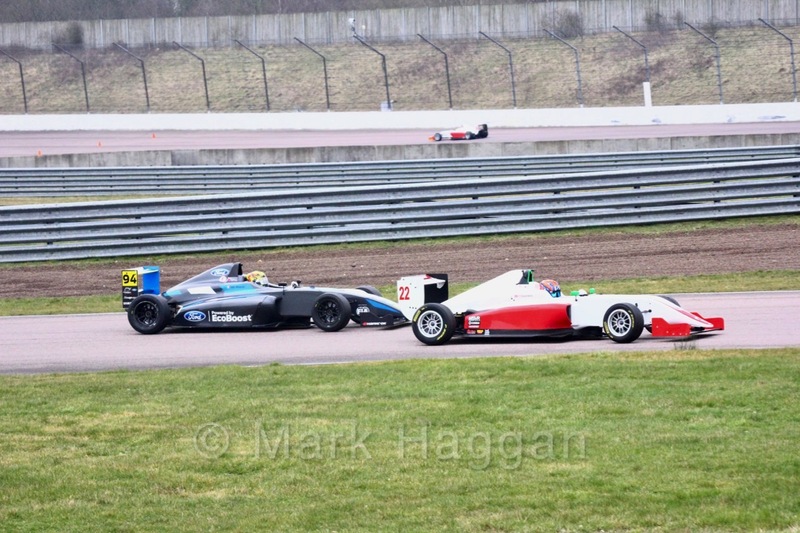 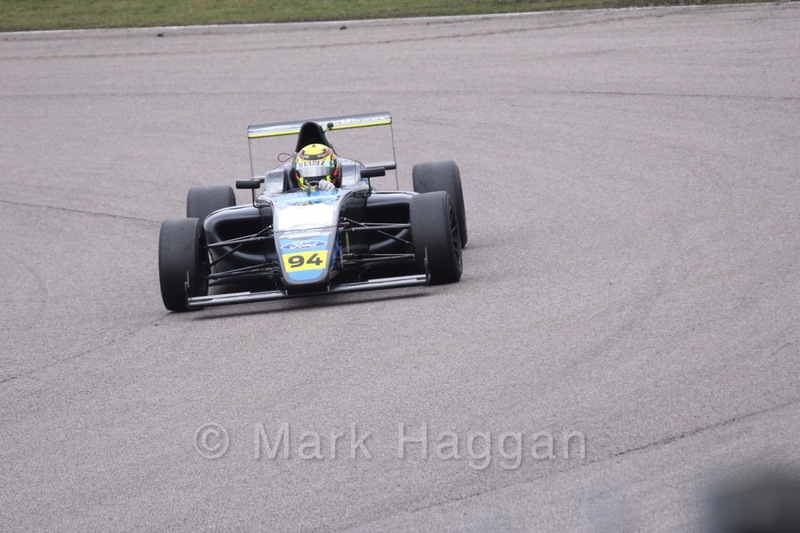 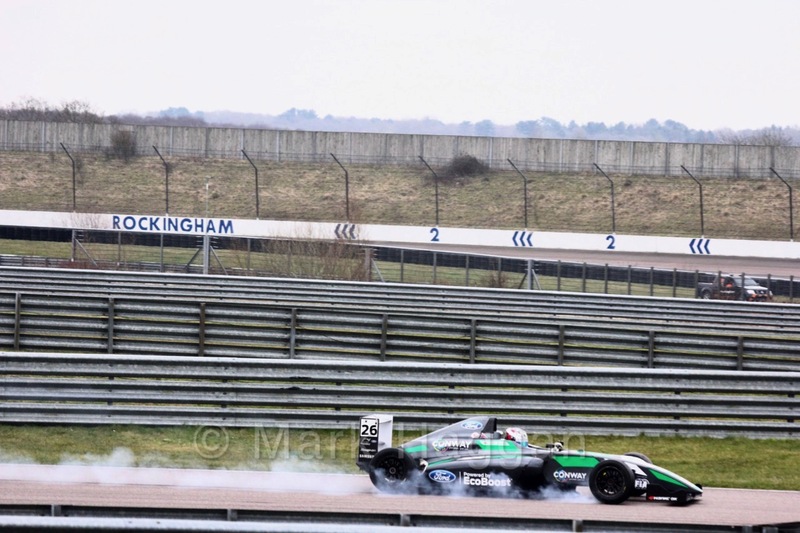 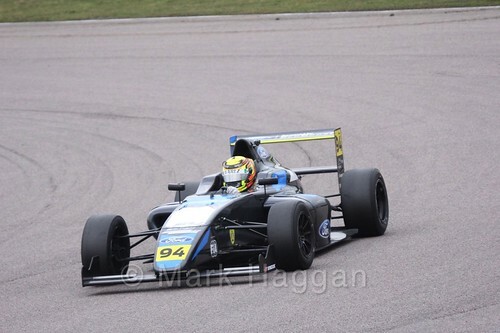 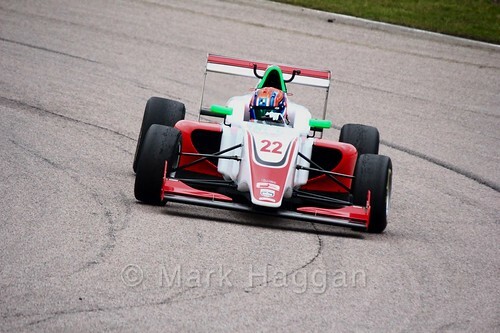 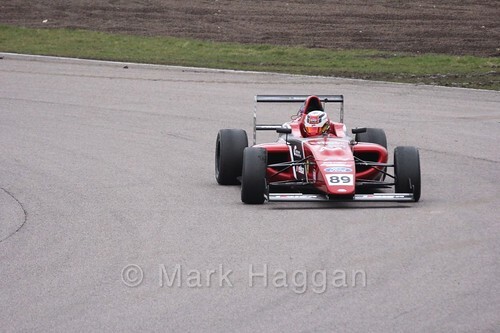 With the new motor racing season starting for most series, February and March see plenty of test sessions, and today saw the British F4 Pre season test 2018 at Northamptonshire’s Rockingham circuit. 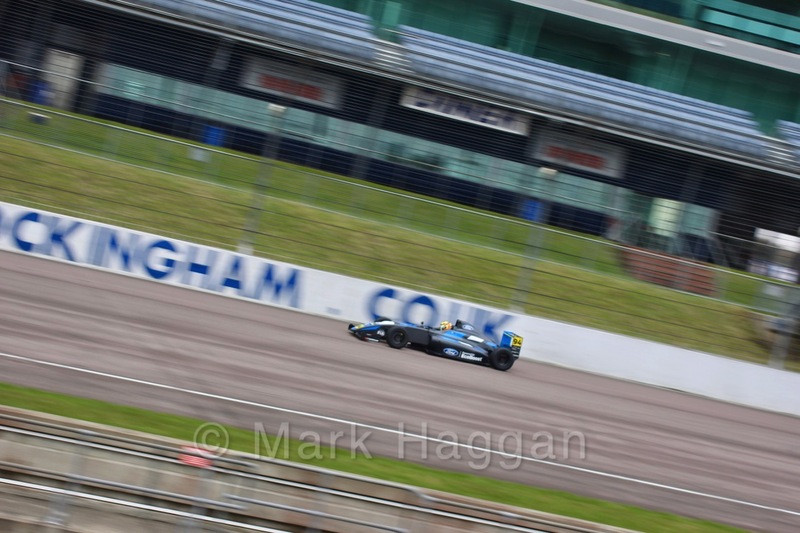 It was a great opportunity to see the 2018 series of cars on track, with some fantastic new liveries on display. 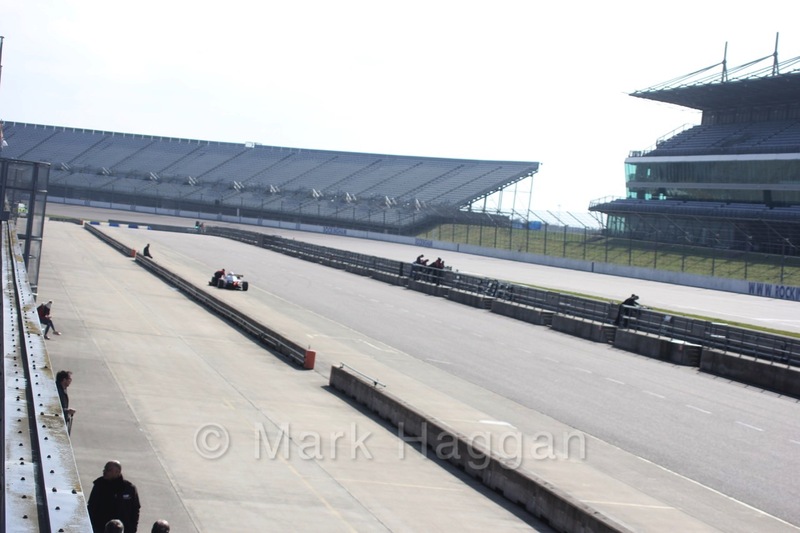 There was plenty of running through the session, and the weather improved through the course of the day. 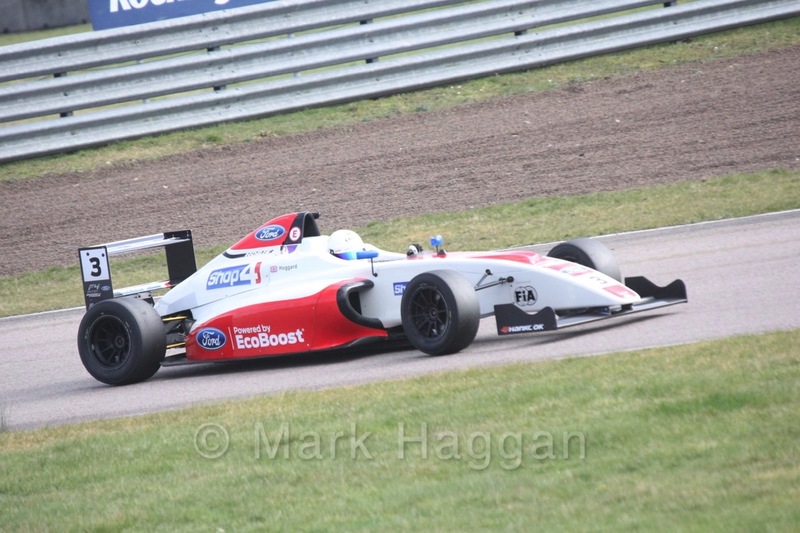 The morning session saw Jonathan Hoggard post the fastest time, from Kiern Jewiss and Dennis Hauger. 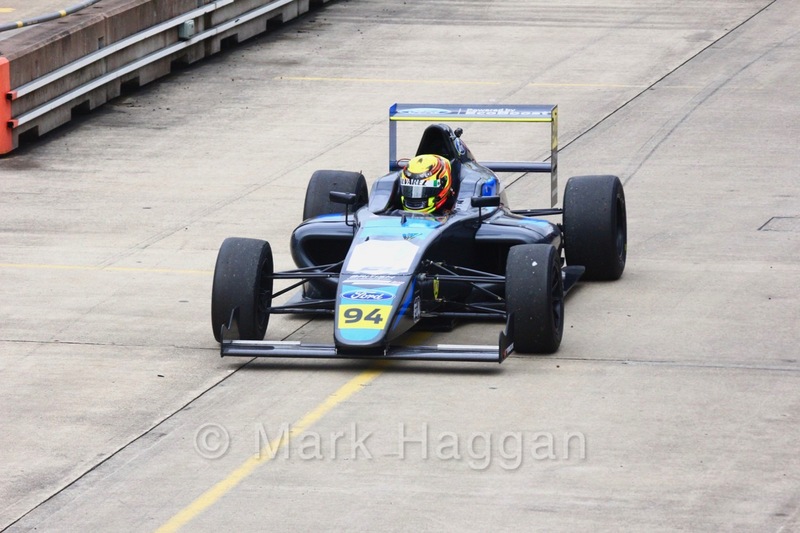 The afternoon session saw the same three drivers top the times, this time in the order Hauger, Jewiss and Hoggard. 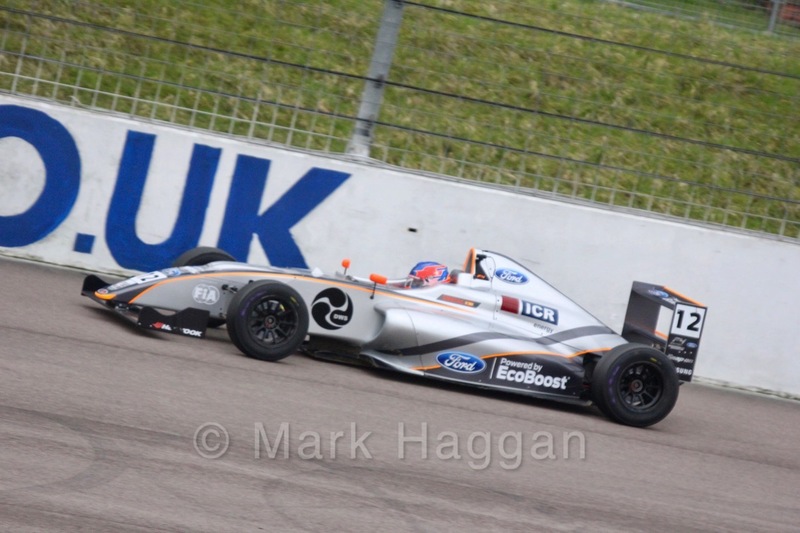 Seb Priaulx was fourth fastest in each session. 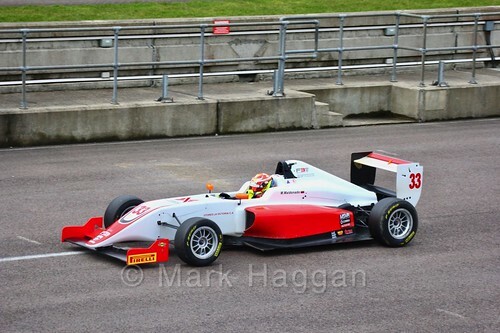 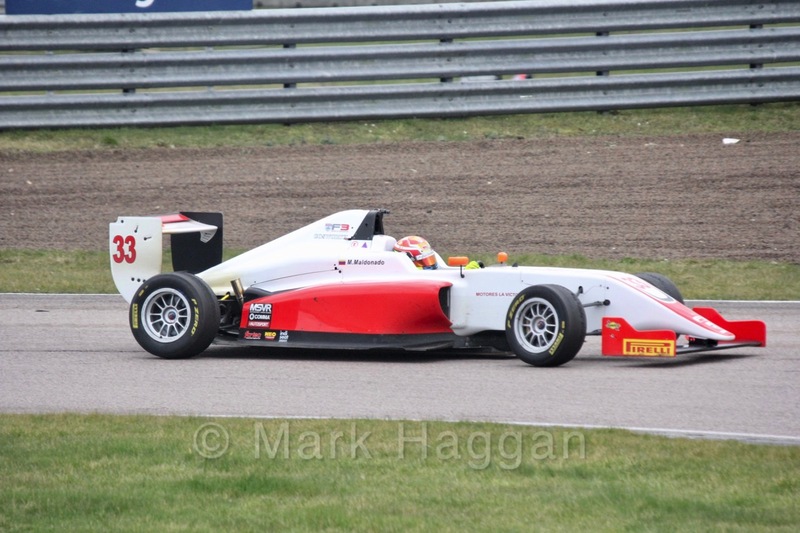 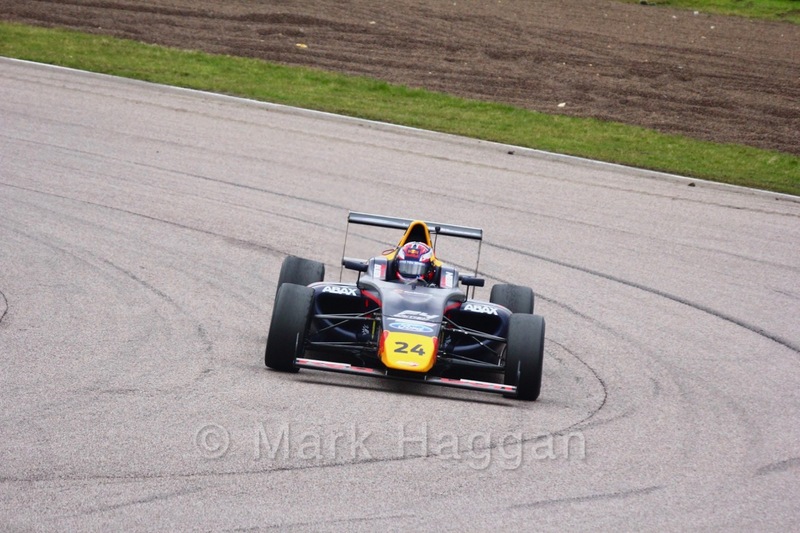 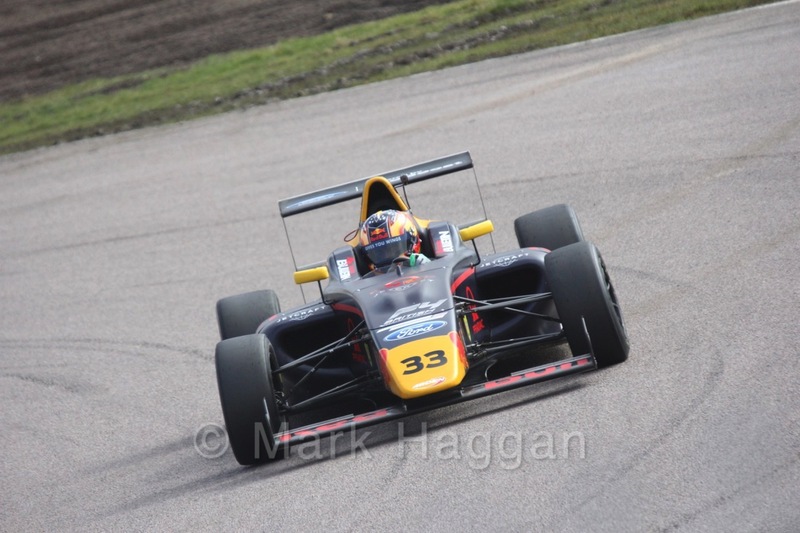 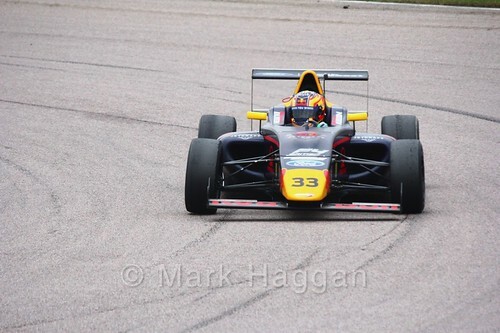 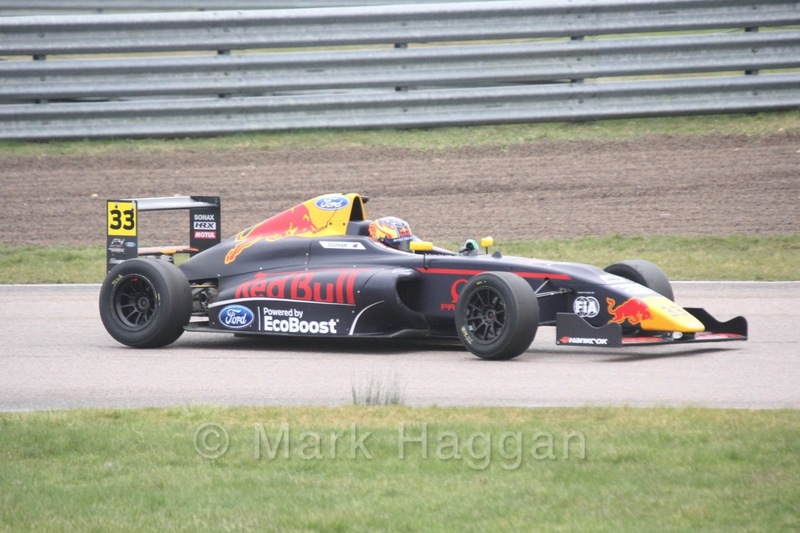 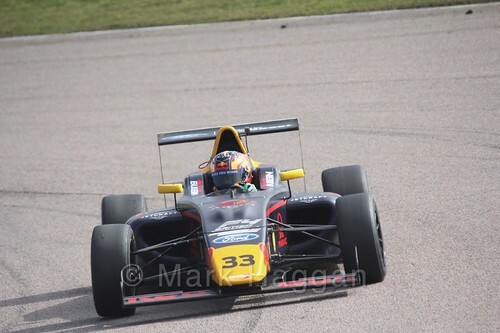 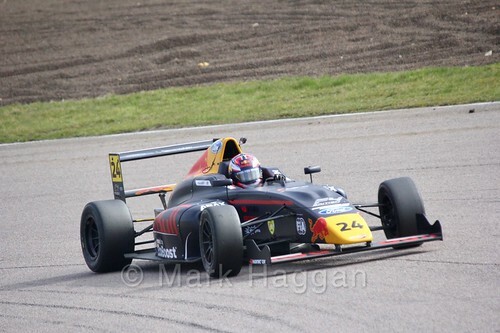 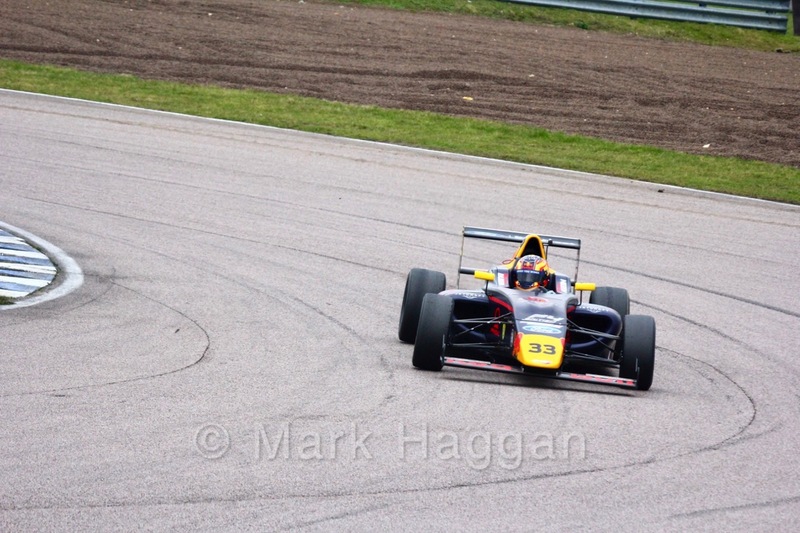 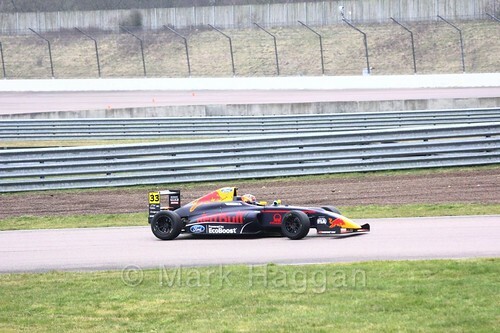 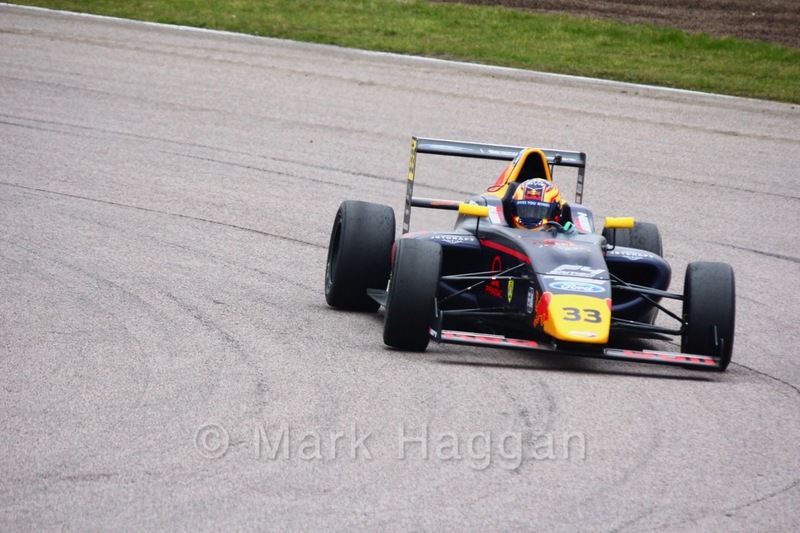 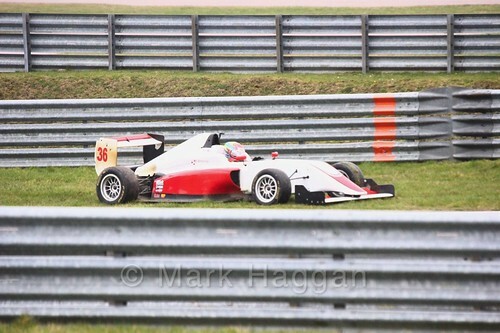 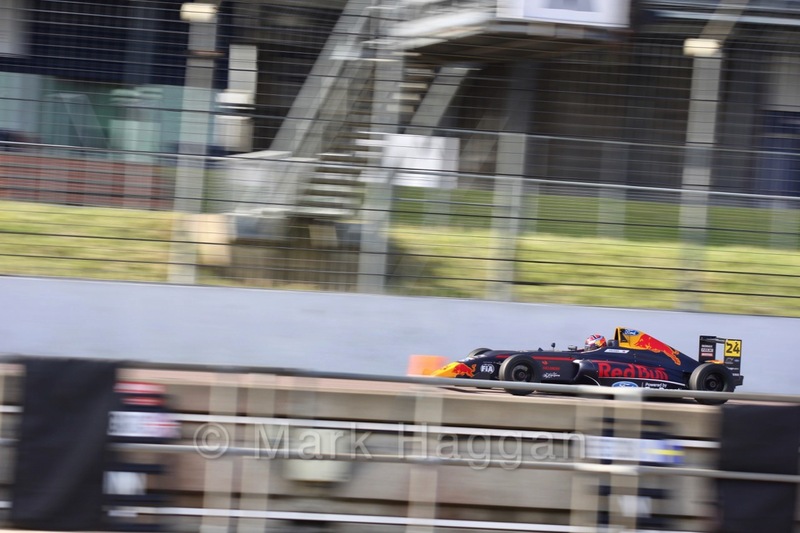 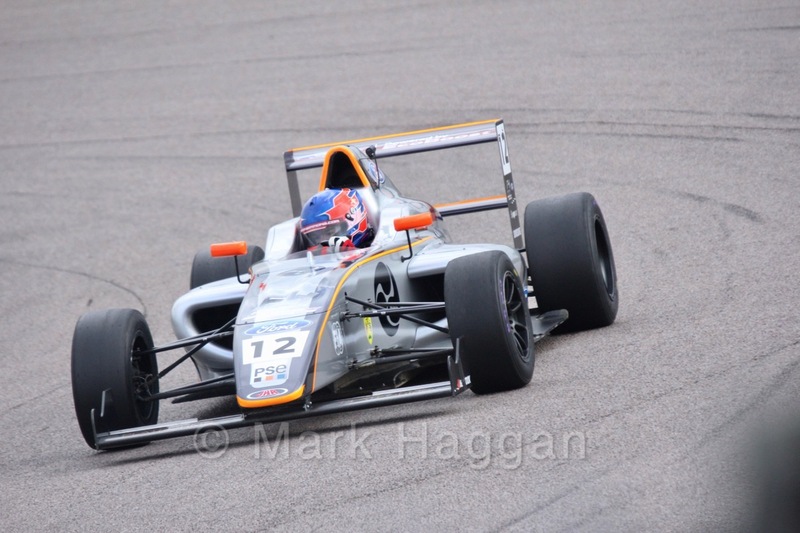 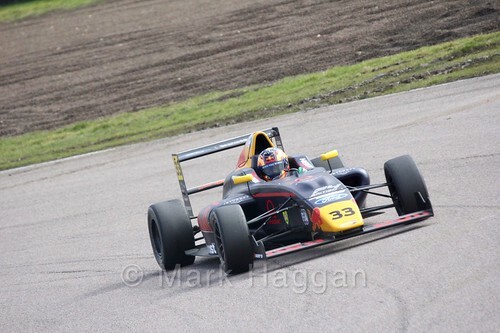 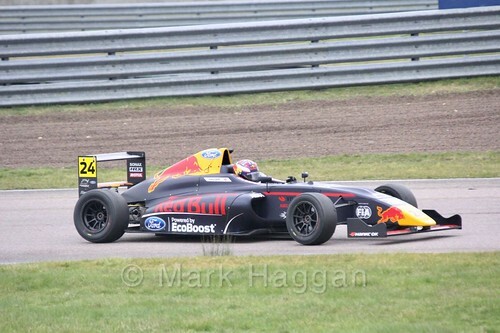 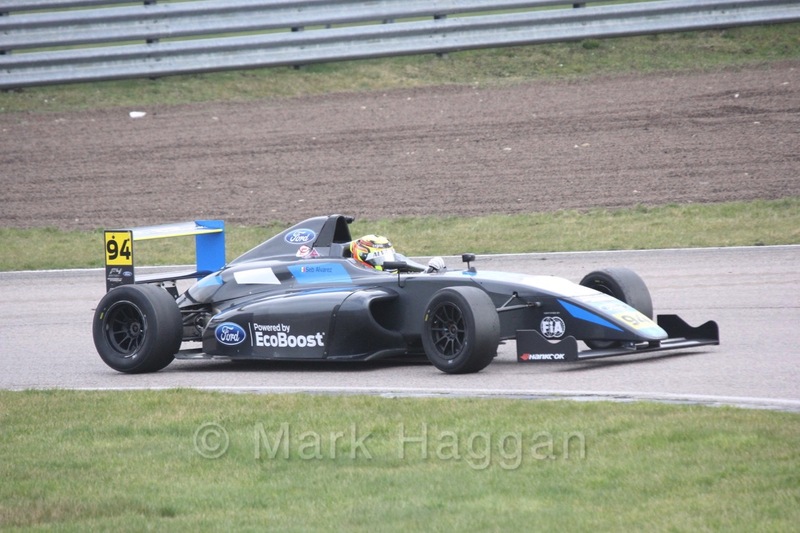 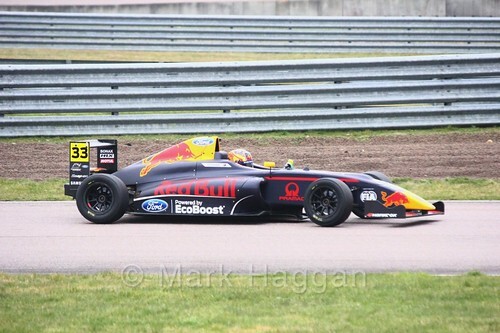 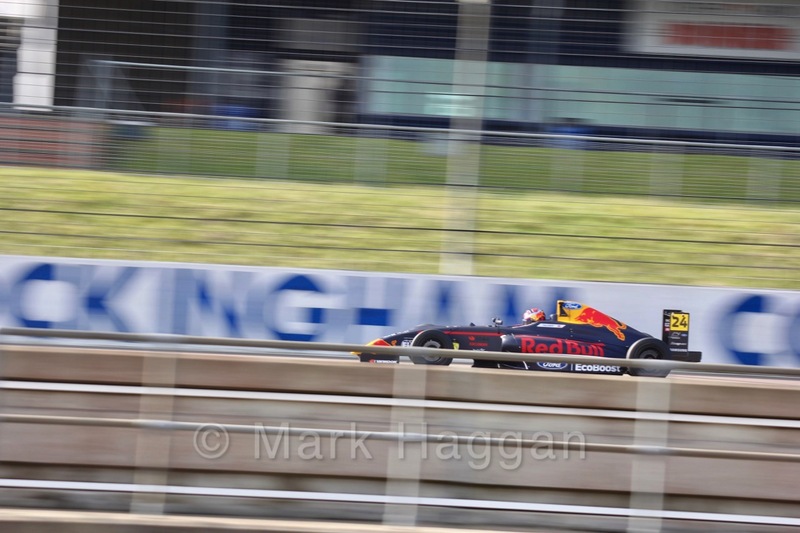 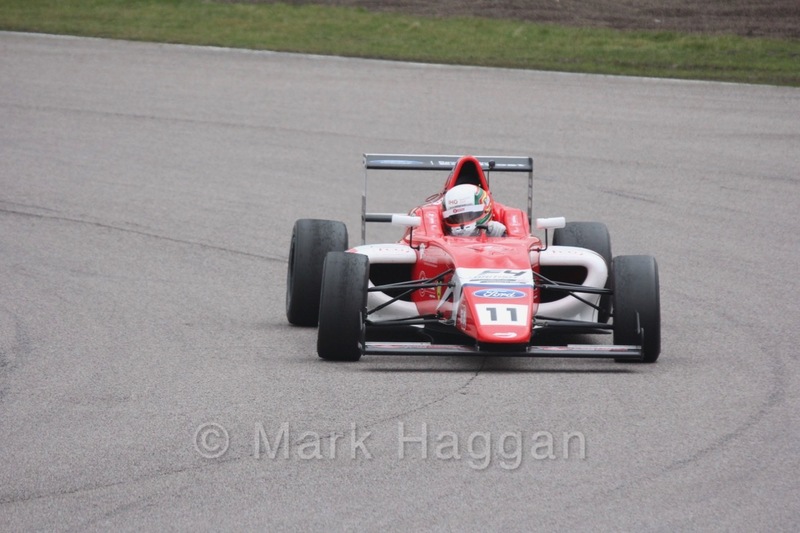 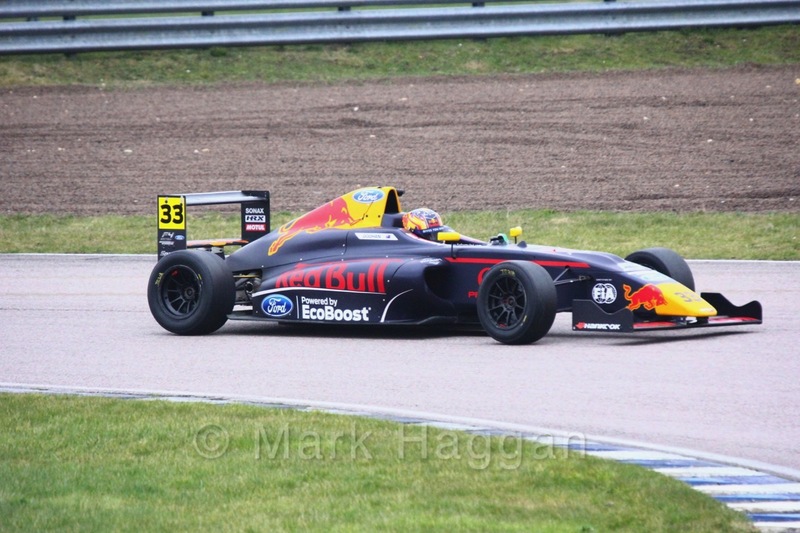 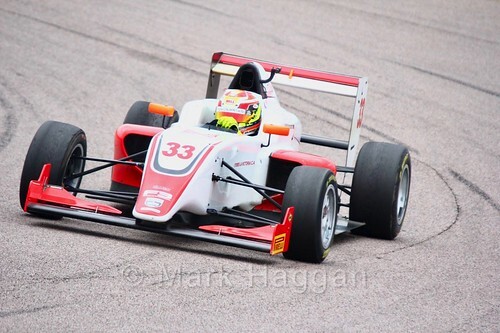 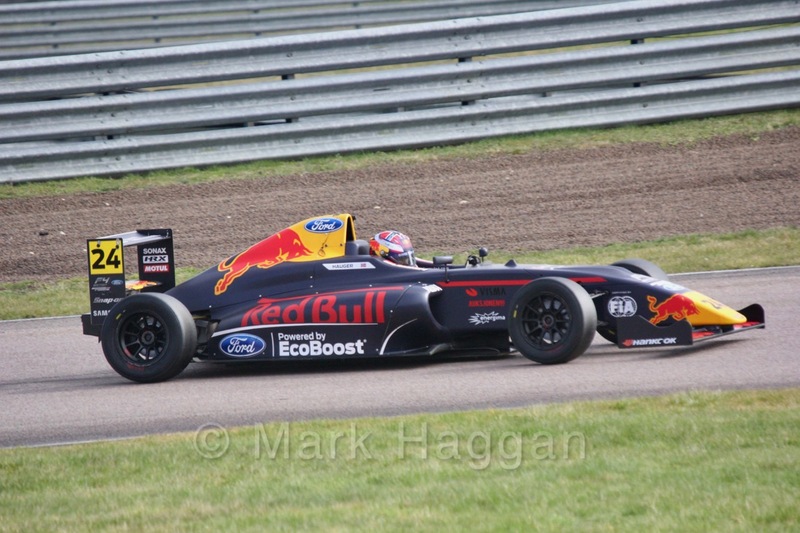 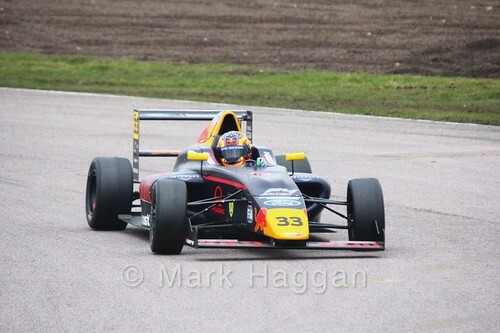 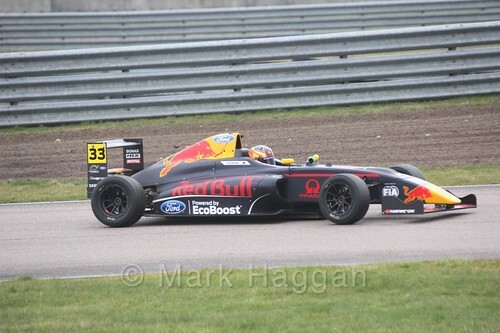 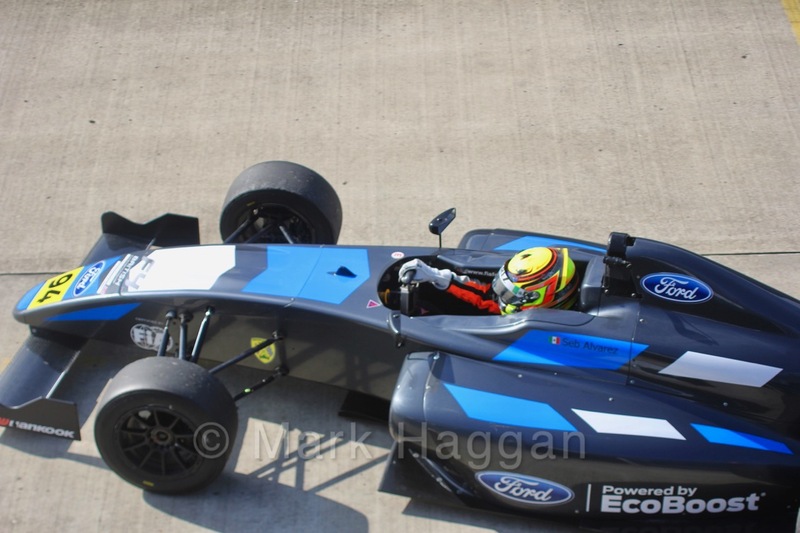 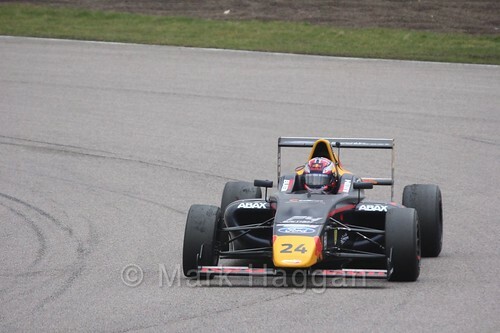 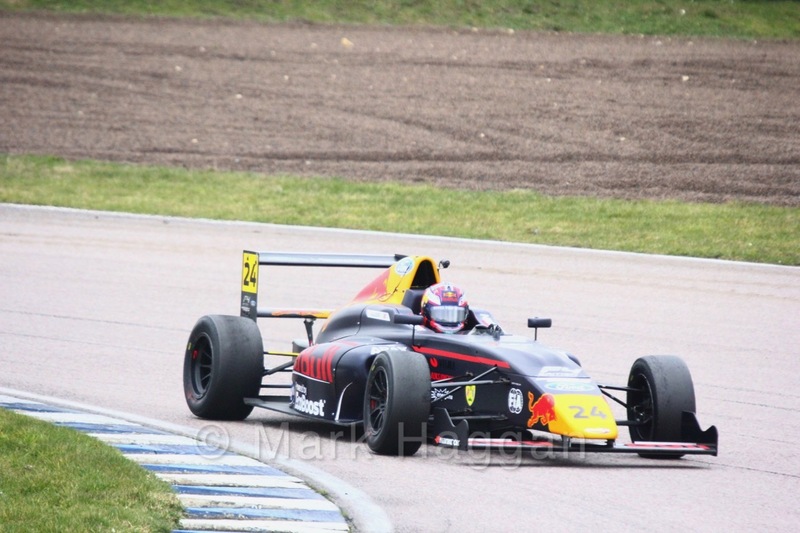 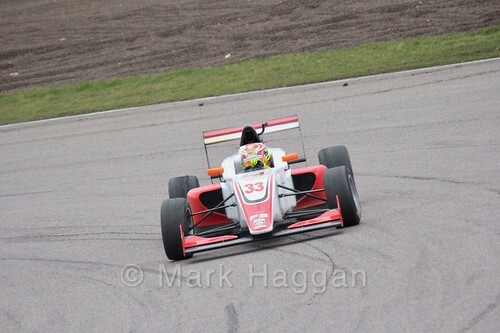 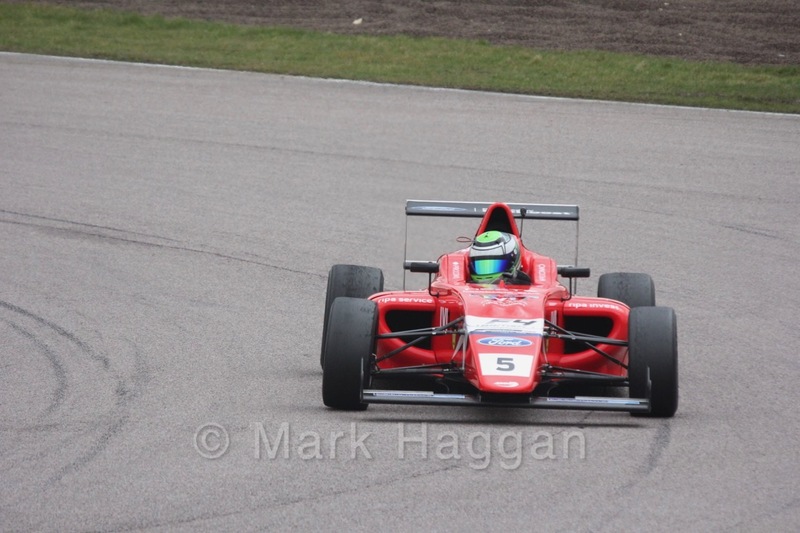 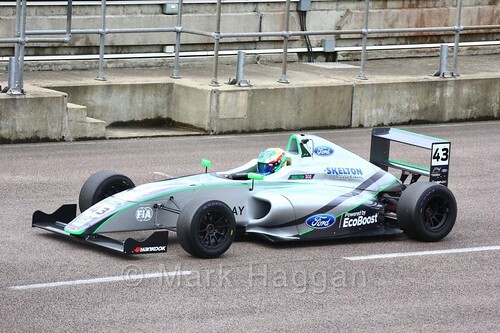 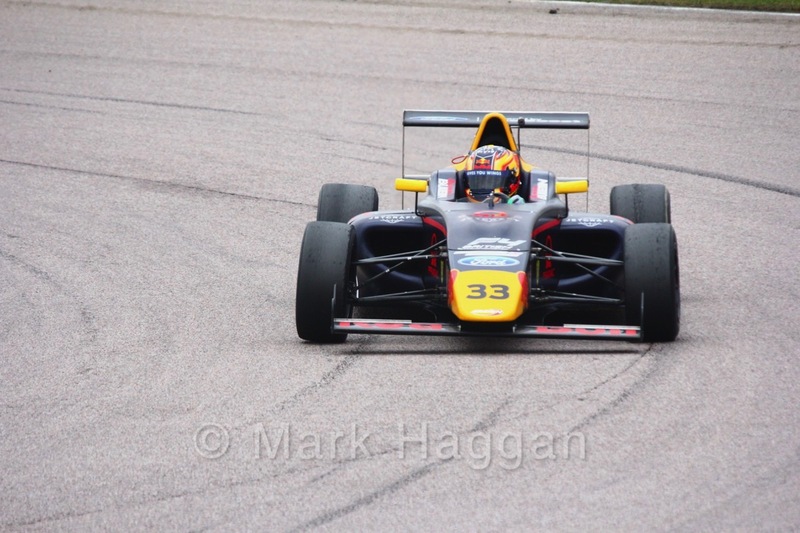 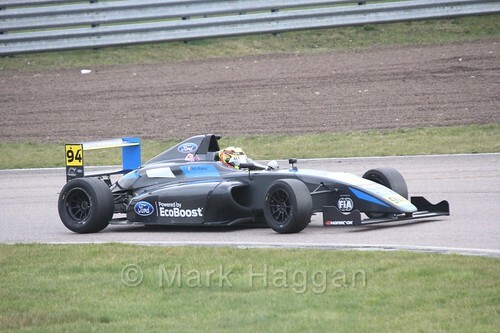 As well as the British F4 cars on track, there were some of the British F3 cars to be seen too, taking advantage of the test day, meaning that the circuit was kept busy through the course of the day. 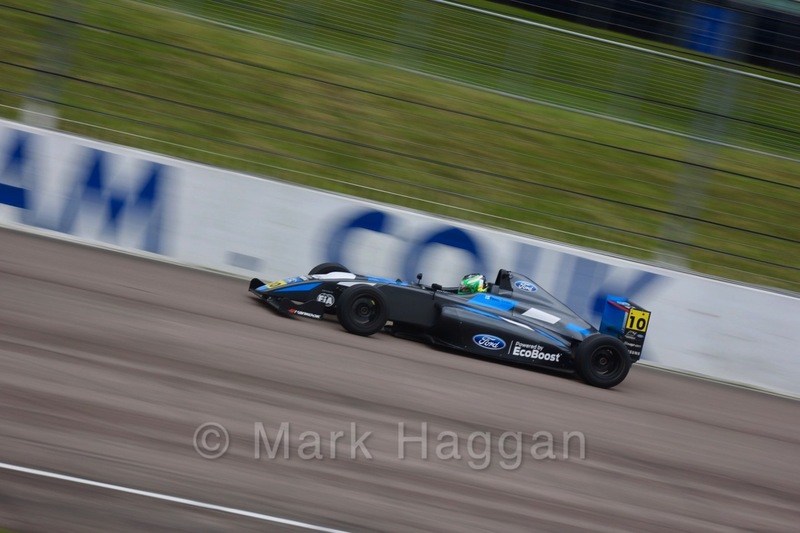 The British F4 and F3 championships have well-earned reputations for exciting racing and for nurturing some very talented drivers who move on to bigger series. 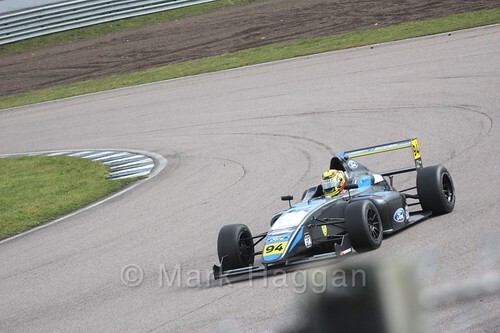 I’m sure that 2018 will be no different, and today was a great opportunity to see some of those stars of the future. 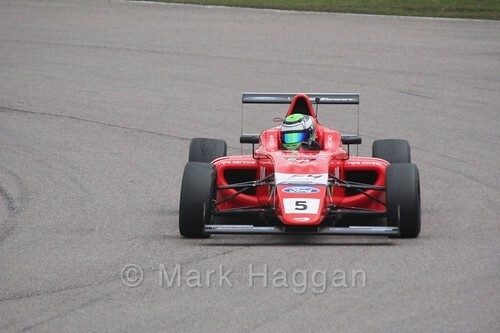 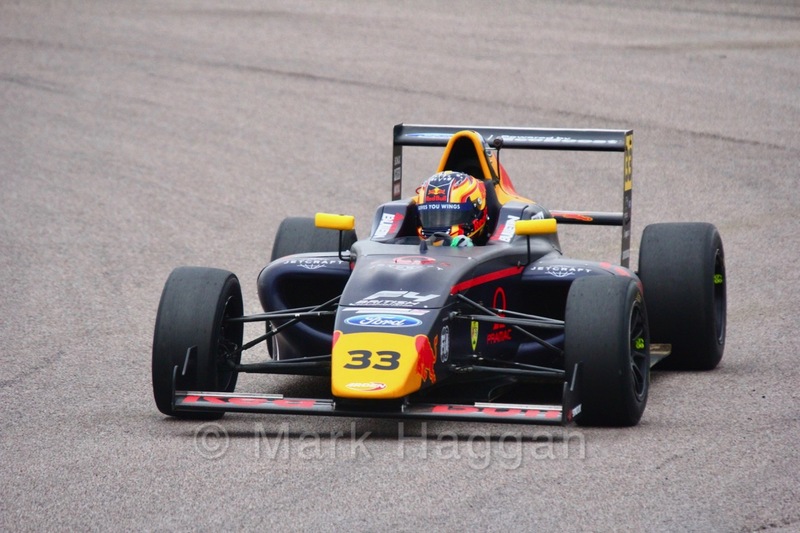 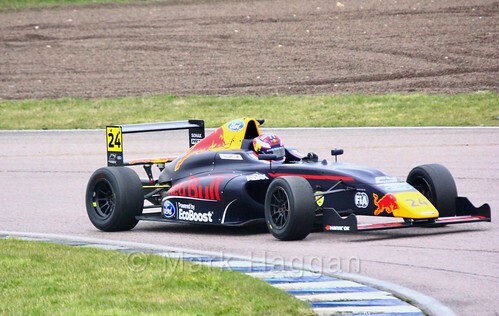 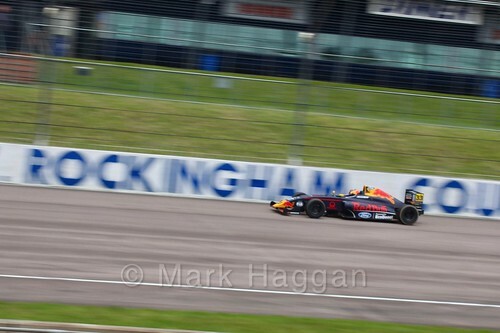 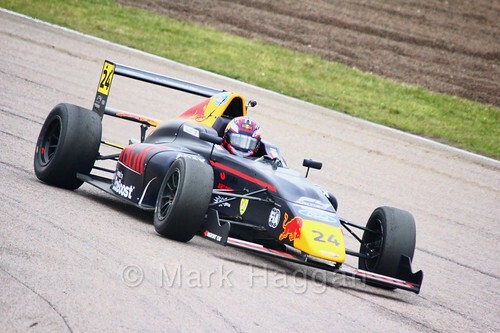 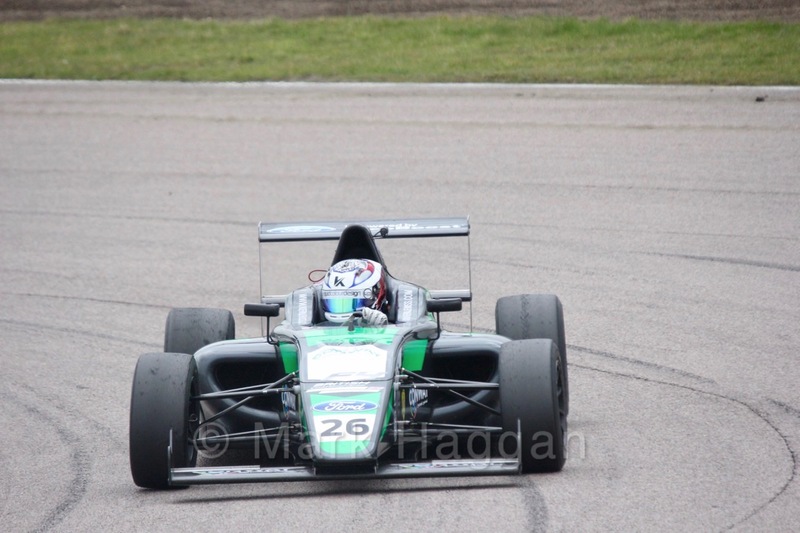 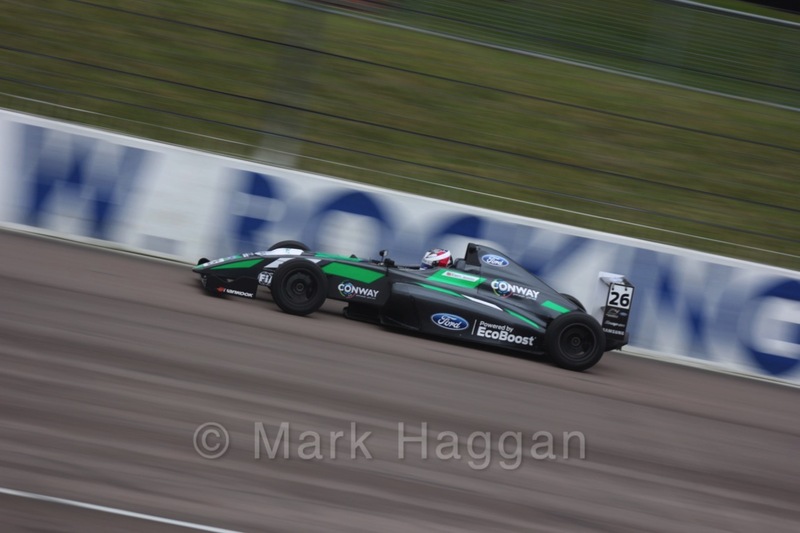 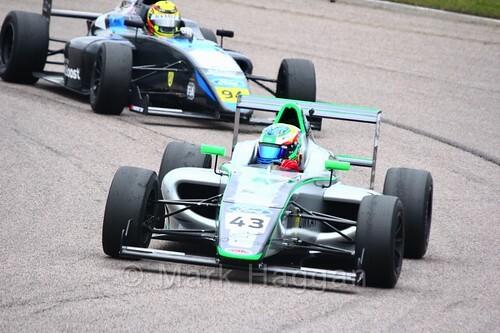 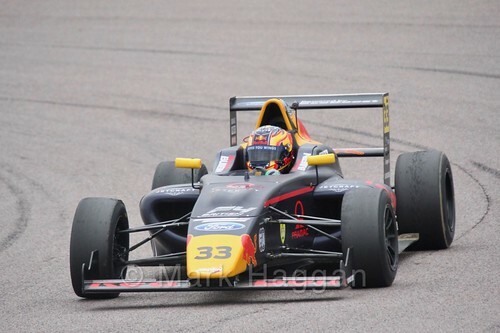 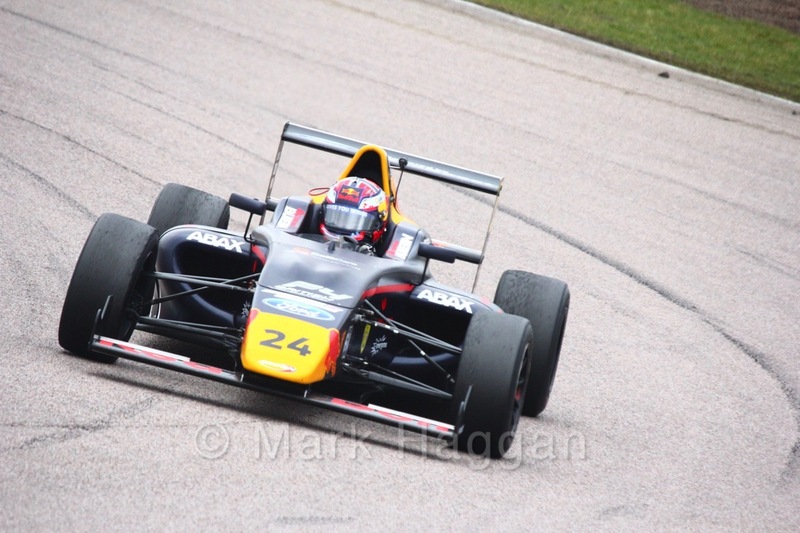 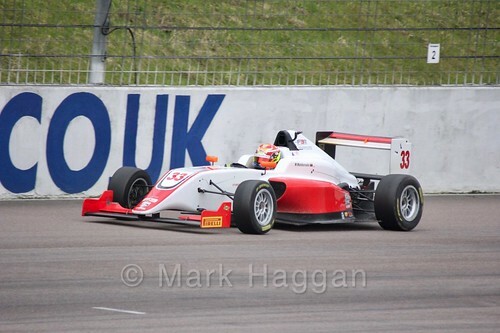 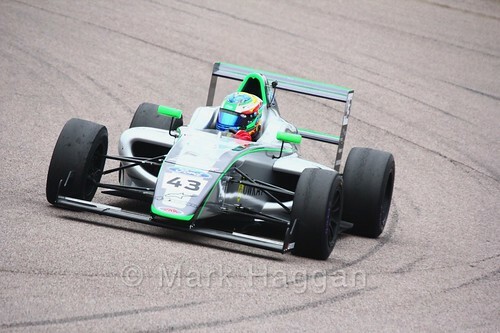 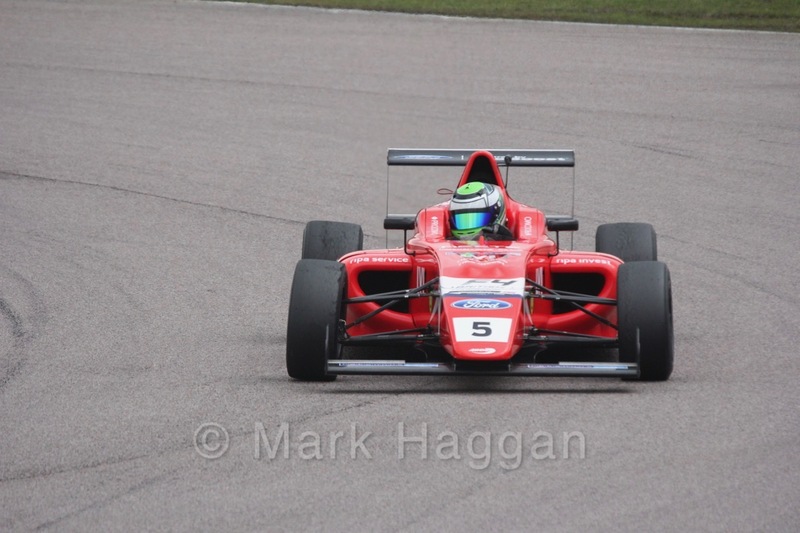 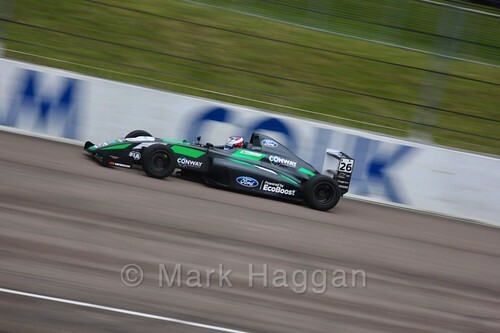 Given the success of previous competitors and winners of the series, it is no surprise that British F4 keeps its reputation as an exciting series to watch. 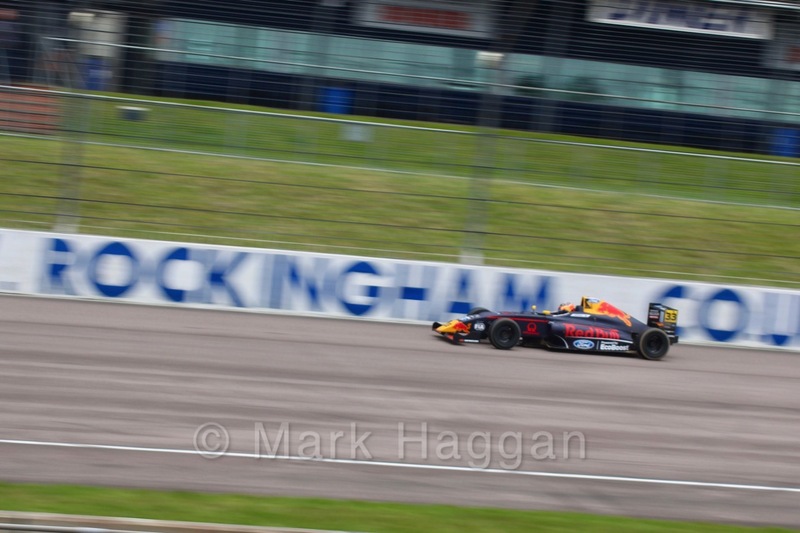 Next time we will see the cars and drivers out will be at the first race of the season, and as normal, the series forms part of the support package for the BTCC, and appears over ten weekends at circuits across the country. The first race weekend of the new season is at Brands Hatch, over the weekend of the 7th and 8th of April. In the meantime, here are some of my photos from today. British Formula Four, Motor Racing British F4, F4, Formula 4, Formula Four, Motor Racing, Motor Sport, Northamptonshire, Pre-season Testing, Rockingham, Testing. permalink.